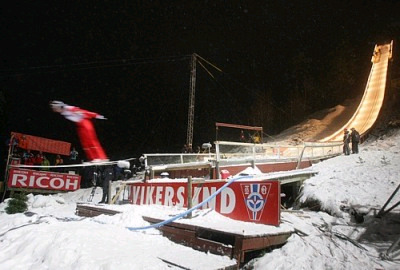 Vikersund is a small village at Tyrifjorden 80 km north of Norway’s capitol Oslo. 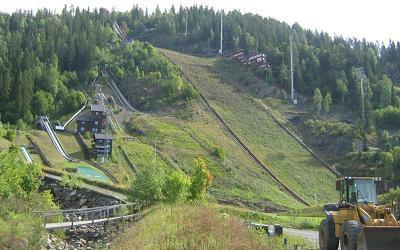 Since the foundation of Vikersund IF in 1894 until 1935 the ski club had been hosting its ski jumping competitions on six different ski jumping hills. 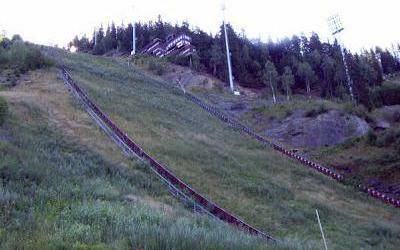 In 1984 a committee was announced, whose target was to find a well located hill for a new ski jump near Vikersund. 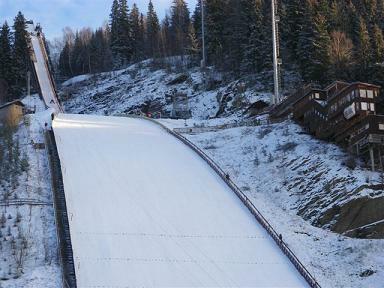 This new ski jumping hill, which was opened with a 86 meter jump of Reidar Andersen, was inaugurated in February 1936. 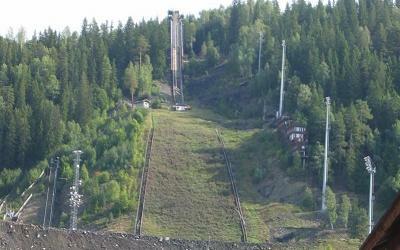 This ski jump of Vikersund has been enlarged twice since its early days, at first in 1956, after that in 1964/65 into a ski flying hill, after a long and hard fight for the status as Norway’s ski fling hill with Rena IL at Østerdalen. 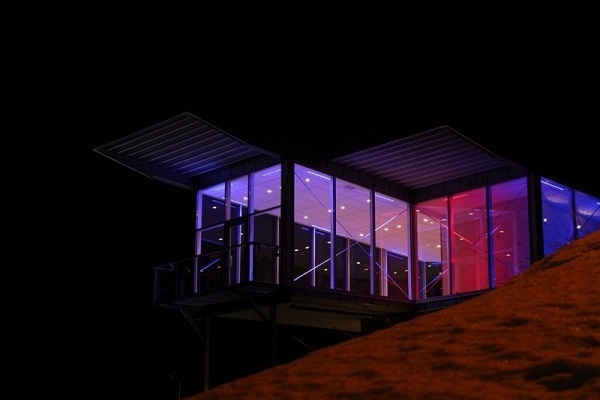 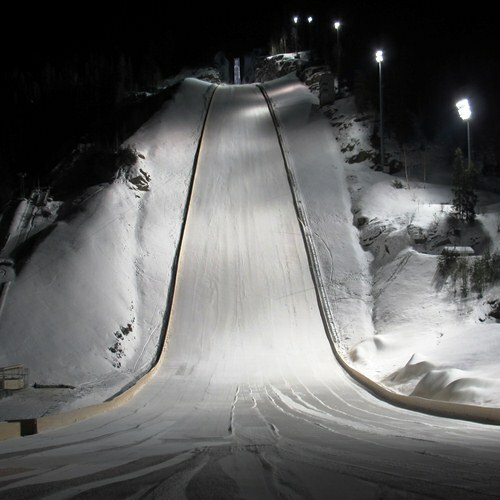 In March 1966 the new ski flying hill was inaugurated and Bjørn Wirkola’s new world record lighted through the whole skiing world in this year. 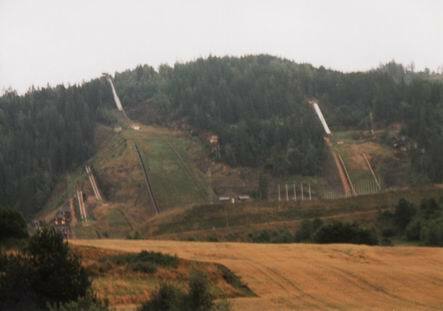 Later on the flying hill was converted several times, but the wind conditions at Vikersundbakken always made many problems during flying competitions. 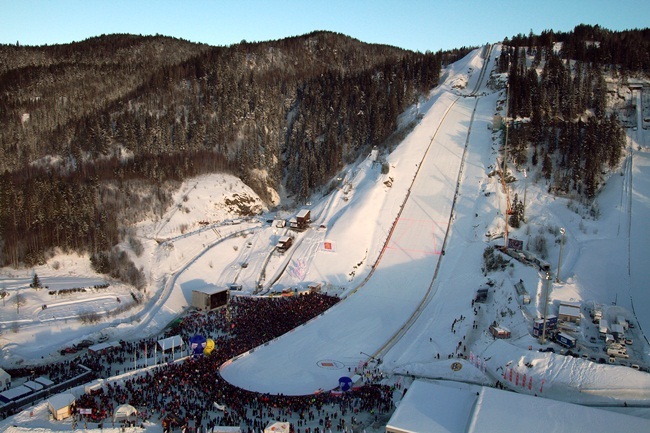 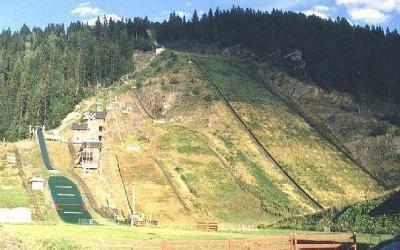 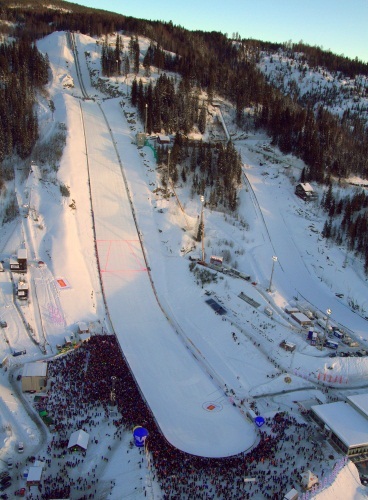 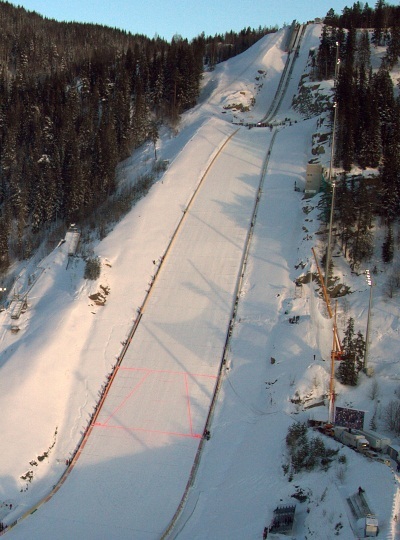 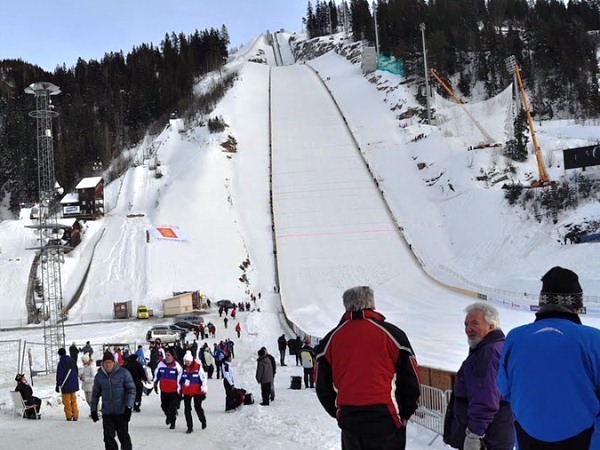 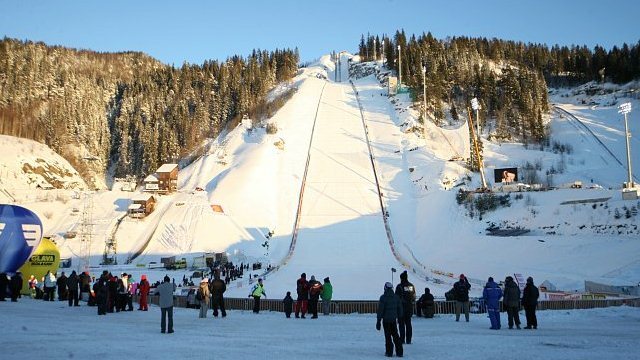 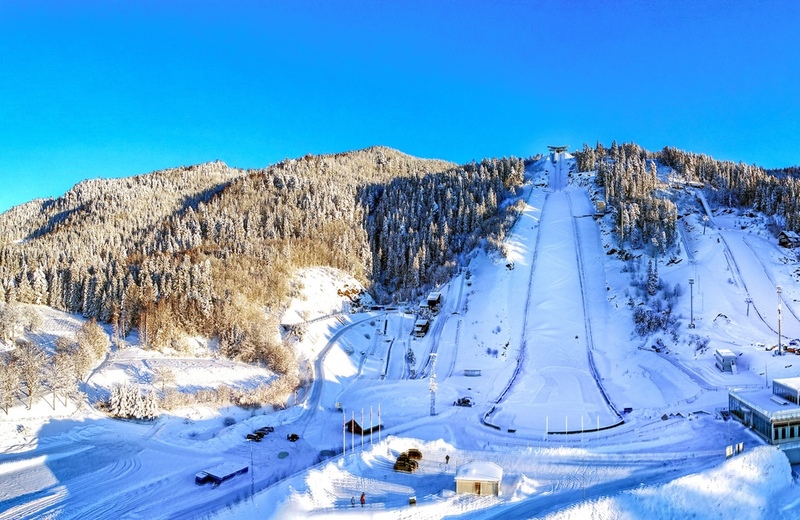 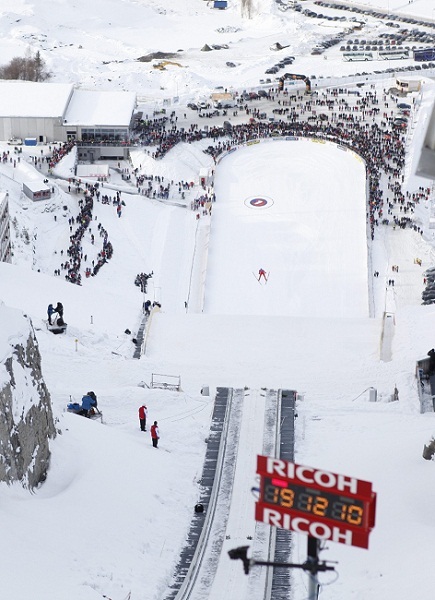 The last conversion of the ski flying hill took place for ski flying world championships in 2000, when it was enlarged into a complete K185 profiled hill, on which one can jump up to 220 meters. 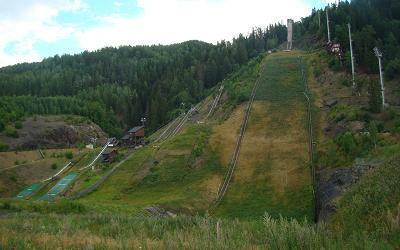 Although Sven Hannawald fell at 214 meters in 2000, he became world champion. 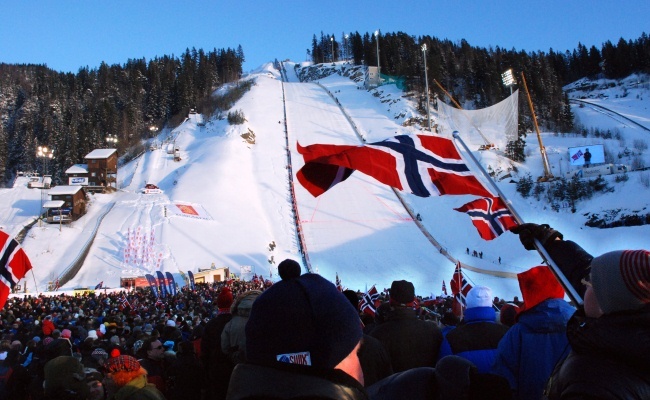 The potentials of Vikersund were demonstrated during the first COC ski flying in 2004, when Austria’s Roland Müller flew up on 219 meters. 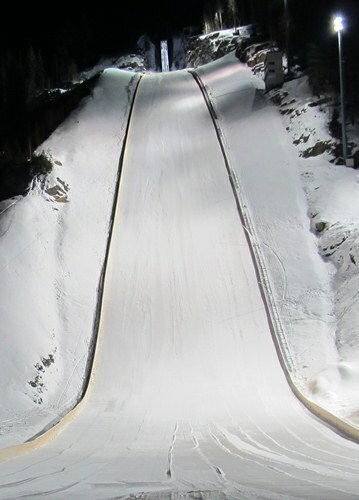 This new hill record was unique, but Roland Müller even announced that it would be possible jump even some meters longer. 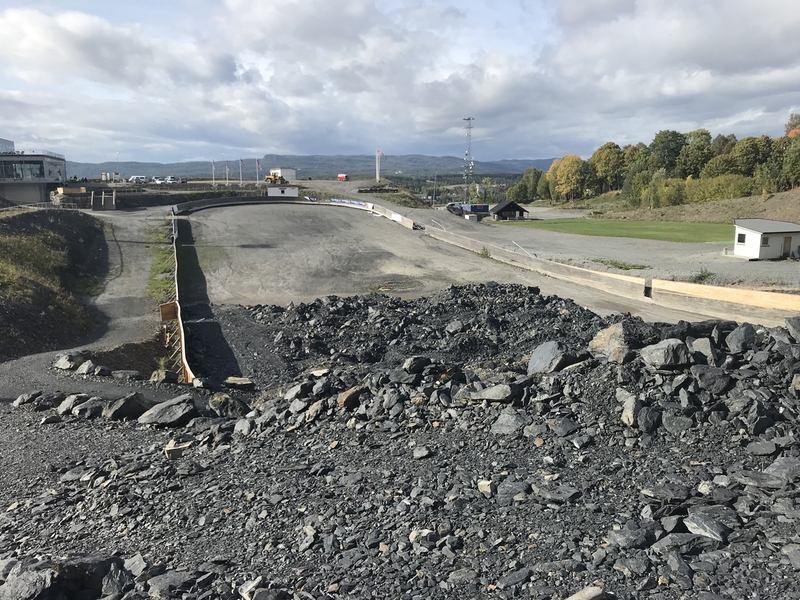 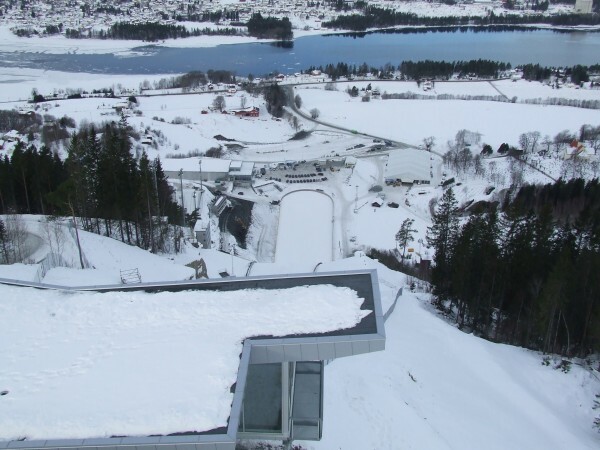 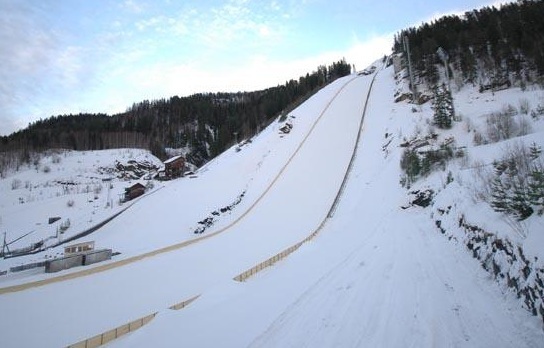 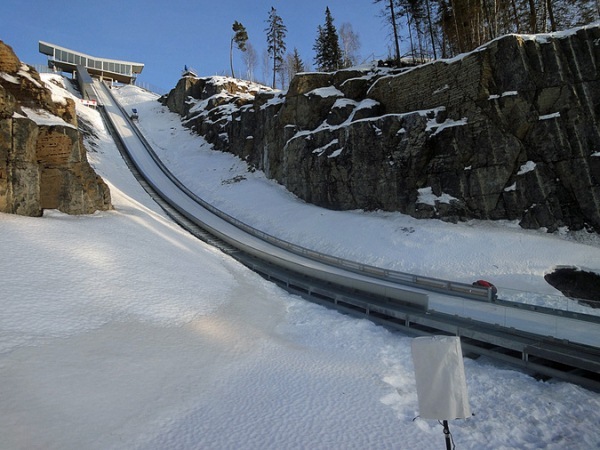 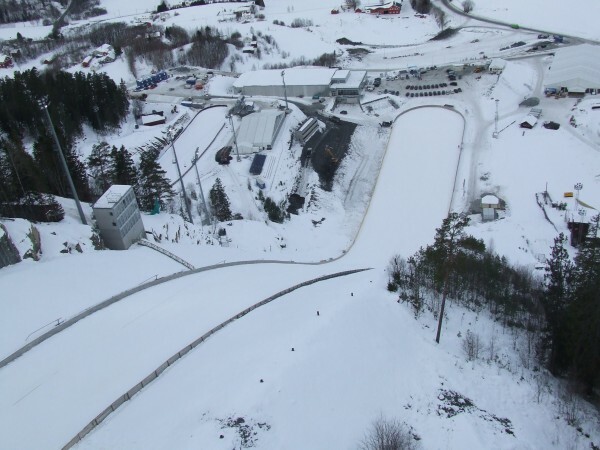 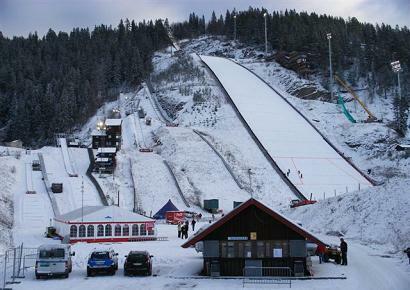 The ski jumping facility of Vikersund doesn’t only consist of the ski flying hill HS 207, there is a big hill ski jump K105 (HS 117), too, which regularly hosts Continental Cup competitions of men and women, as well as pupils and training hills K65, K45, K25, K15, K10. 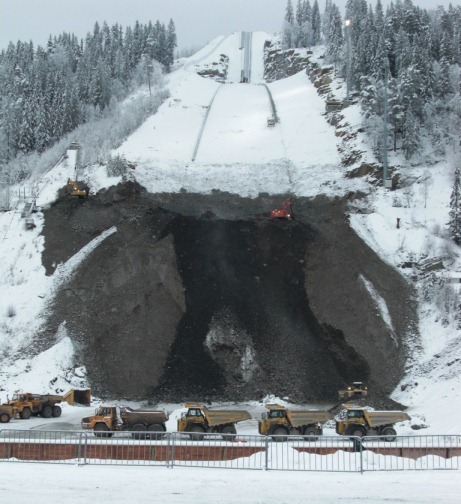 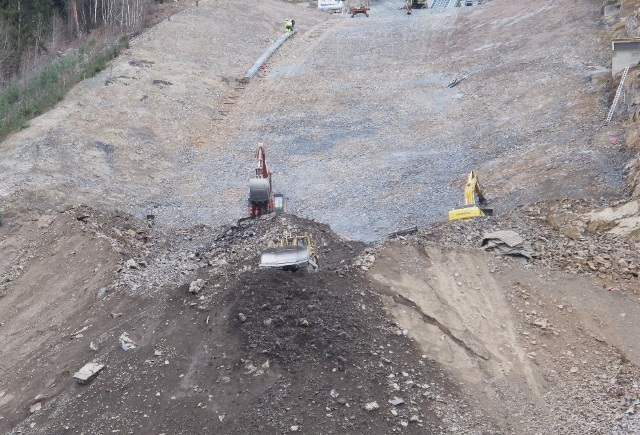 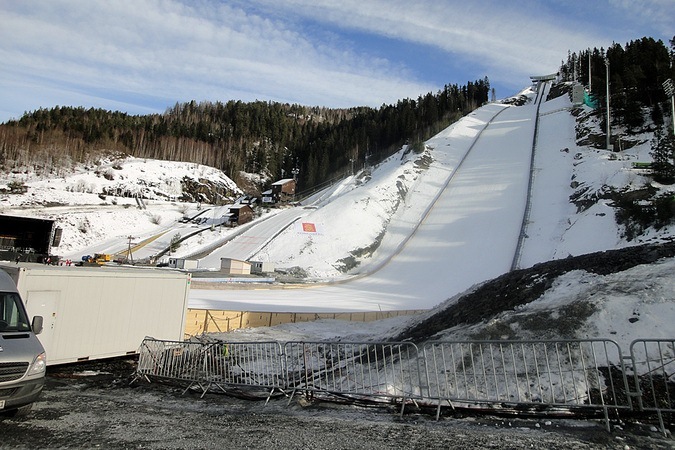 In April 2010 the conversion of the ski flying hill HS 207 into HS 225 started, by increasing the difference of height up to 135 m. The old inrun construction was blown up, the whole hill was slightly rotated and on a new natural inrun was shaped into the hill out of concrete and steel. 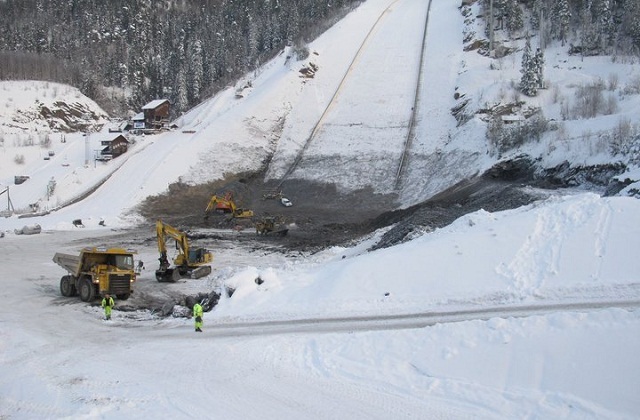 Total investment cost was 80m Krones (about 10.2m Euros), half of which was covered by the state. 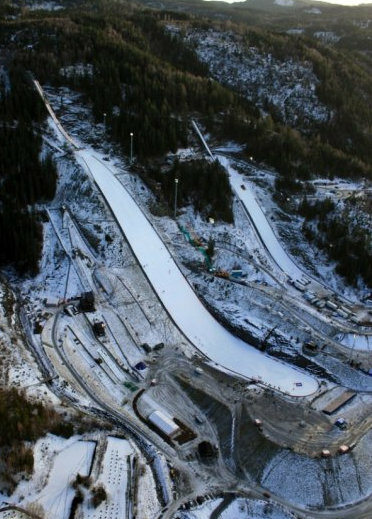 By the way, the new jump was planned by Sebastian and Janez Gorišek from Slovenia, who are also responsible for Letalnica flying hill in Planica. 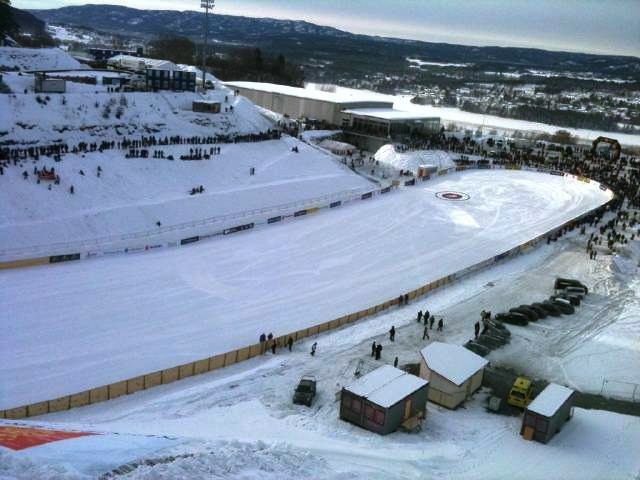 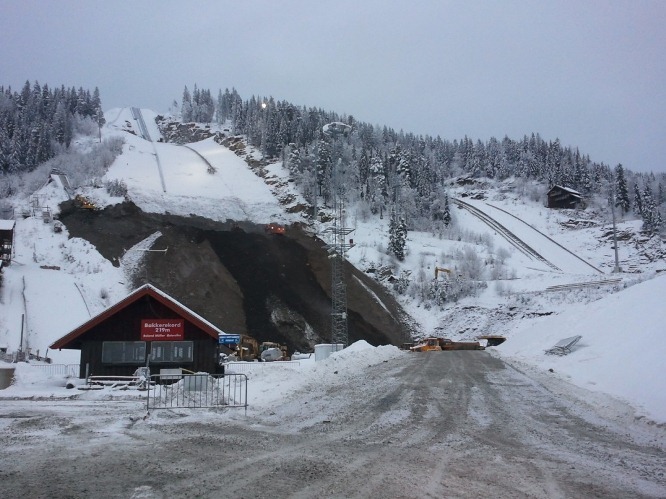 In December 2010 construction works were finished and in February 2011 there was the test World Cup hosted on Vikersund K195 before Ski Flying World Championships in 2012. 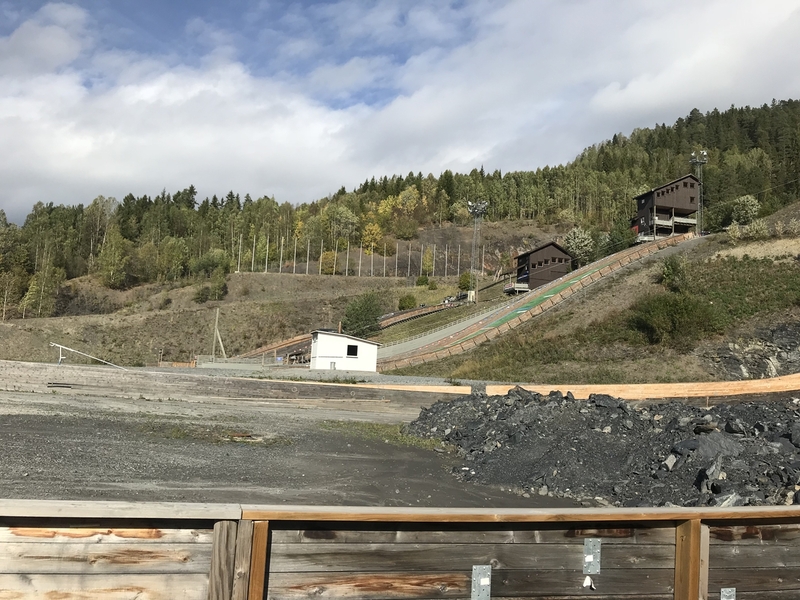 During this occasion Norway's Johan Remen Evensen flew on 246.5 meters and brought the World Record back to his home country after nearly 42 years. 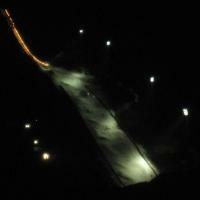 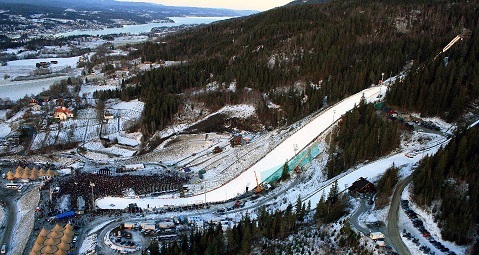 For this main event another 5m Euro were invested into the ski flying hill over the year 2011. 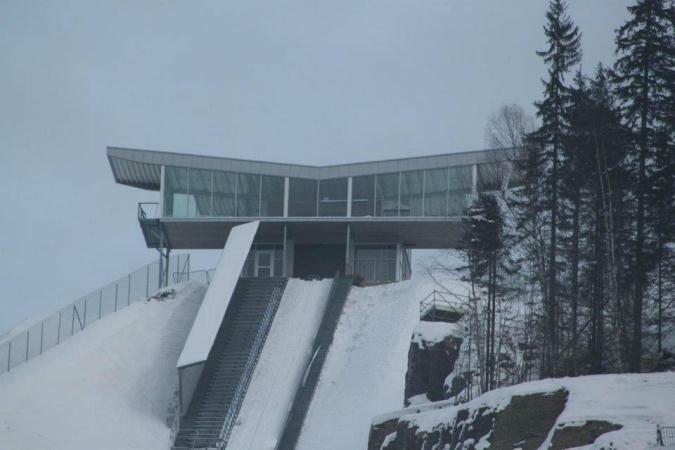 In order to fulfill FIS requirements take-off and landing hill had to be modified and the infrastructure was brought up to a modern level with a new ski lift that is also serving the K105 hill, a multifunctional building and especially the futuristic warm up room "Vingen" (en. 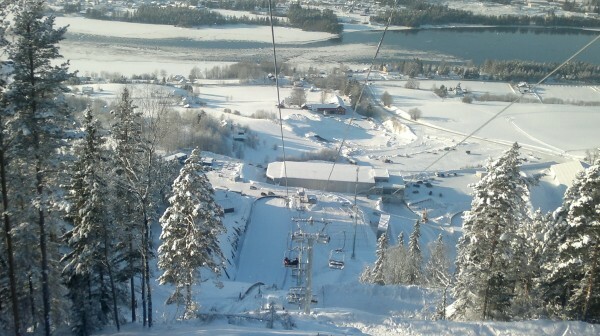 "wing") on the top of the inrun. 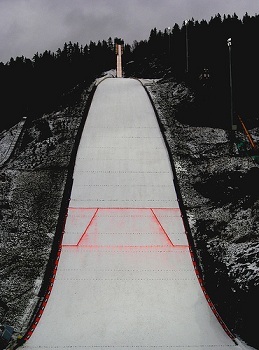 In preparation of the Ski Flying World Cup in 2015 the hill profile was again slightly modified in the landing zone, such that Vikersundbakken had to be re-certified as a K200. 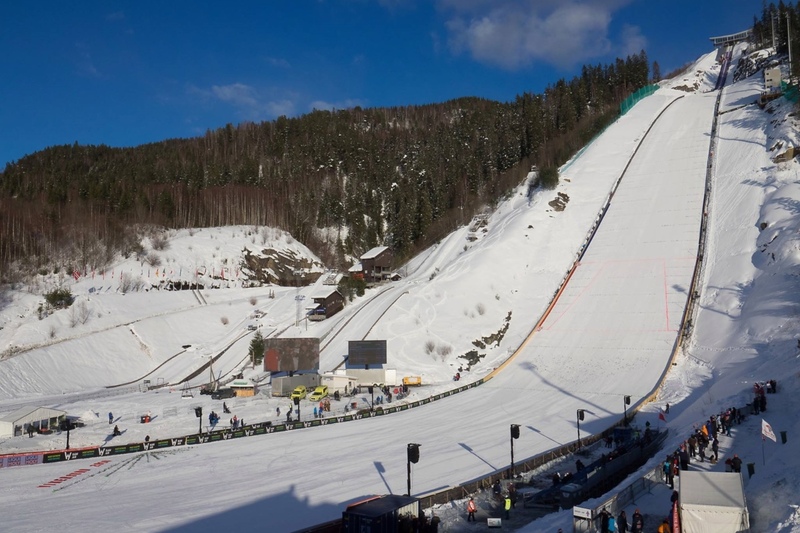 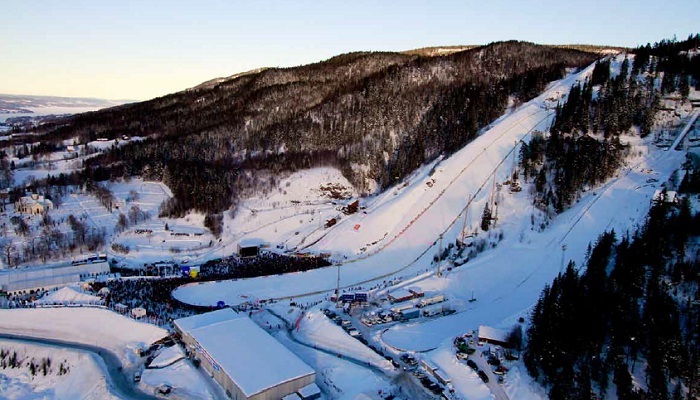 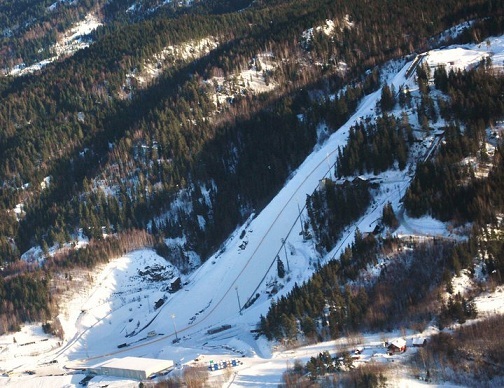 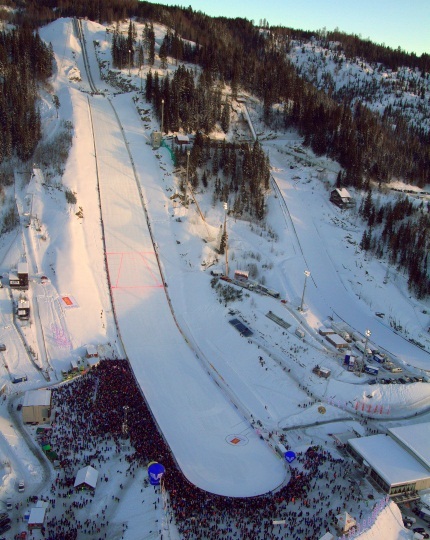 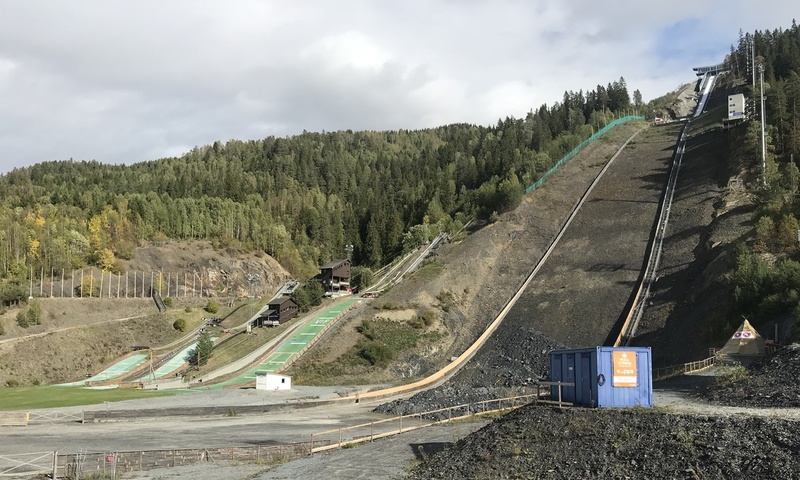 Just before the upcoming Ski Flying World Cup this weekend, the world's largest ski flying hill in Vikersund, Norway, was re-certified by FIS after modifications of the landing hill. 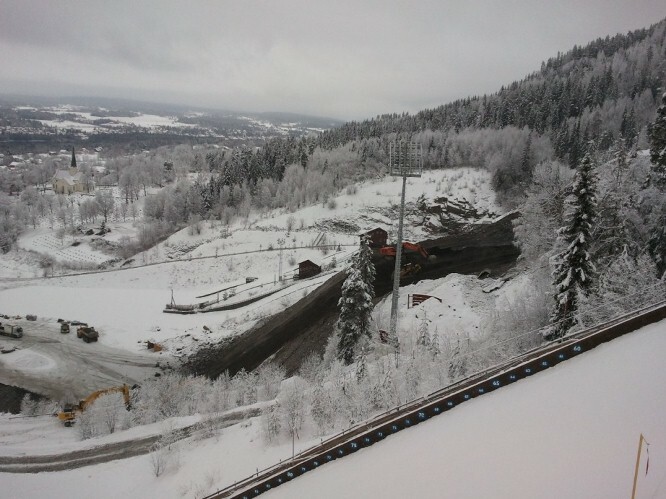 The K-Point of Vikersundbakken is now at 200 meters, while Hill Size stays at 225 meters. 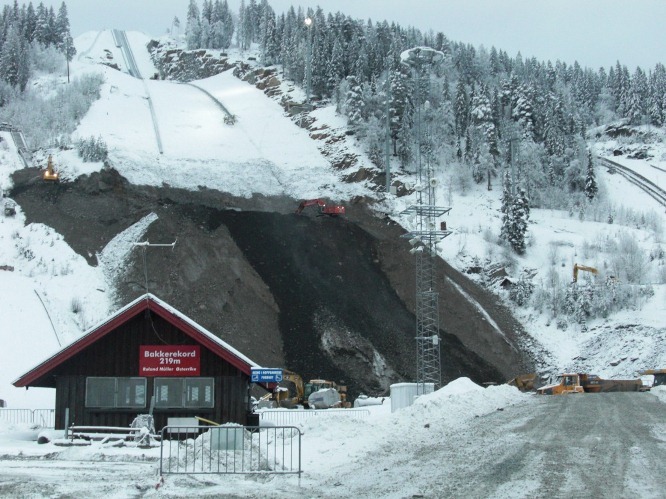 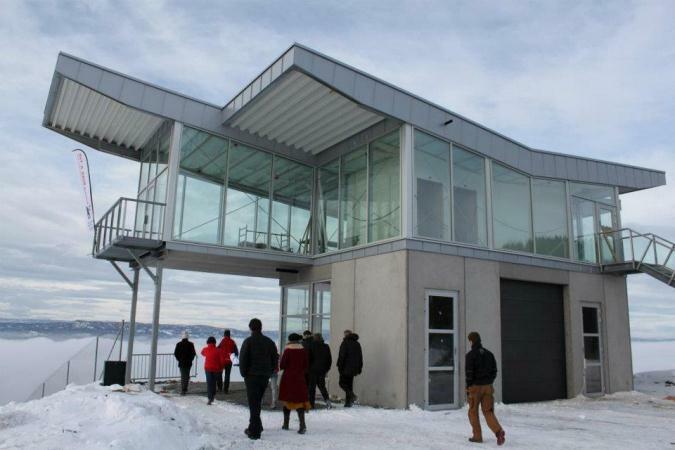 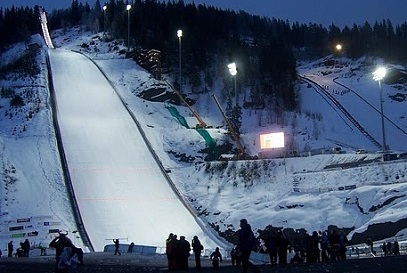 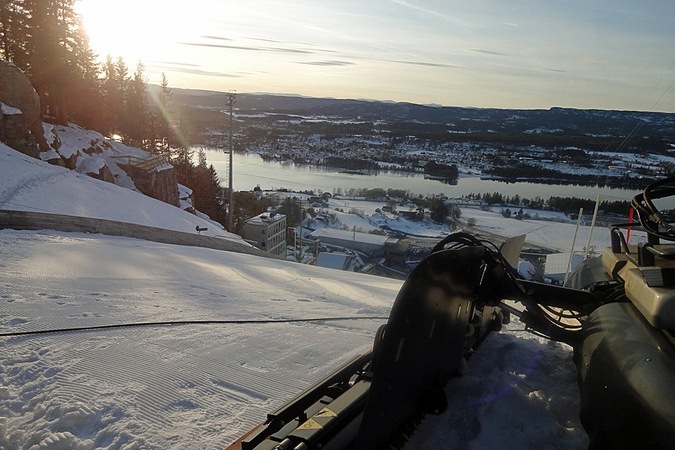 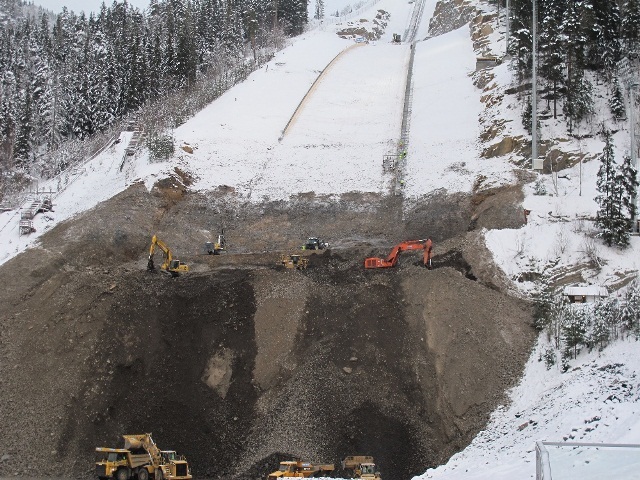 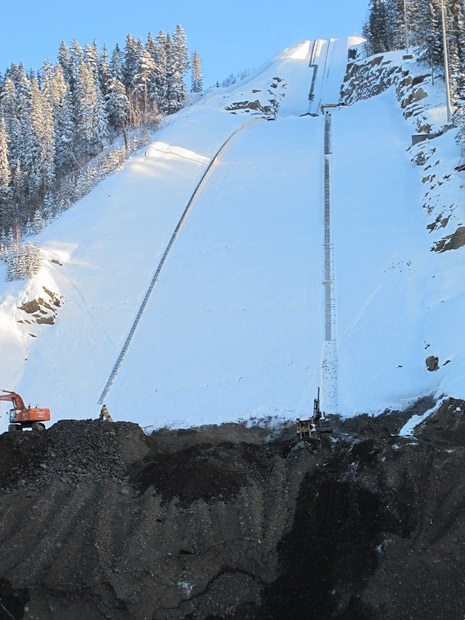 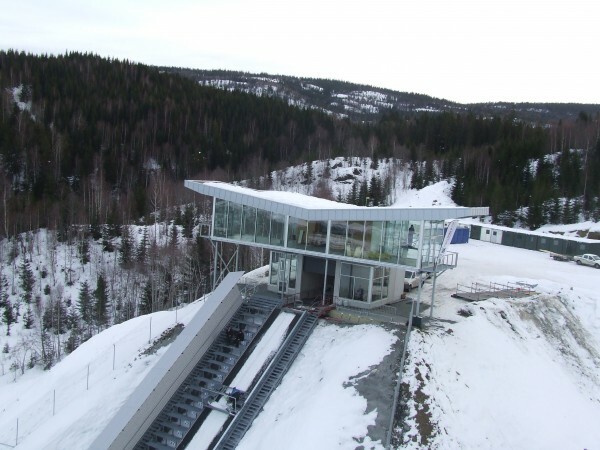 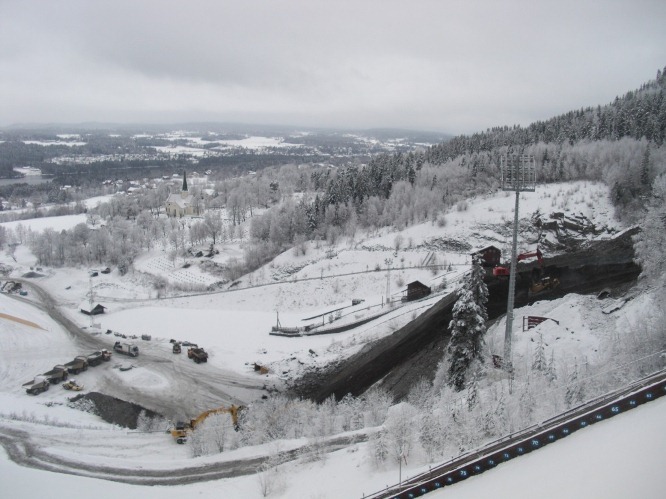 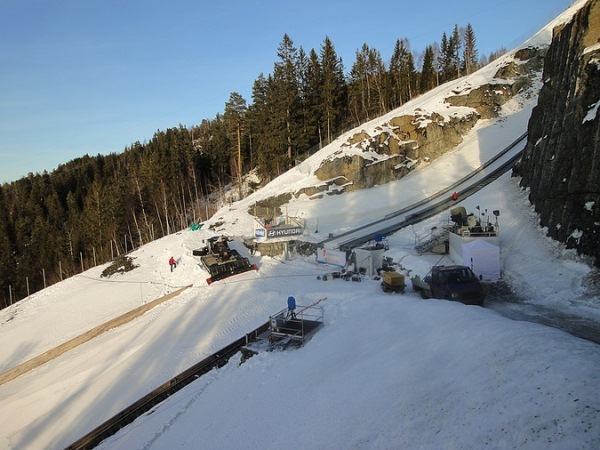 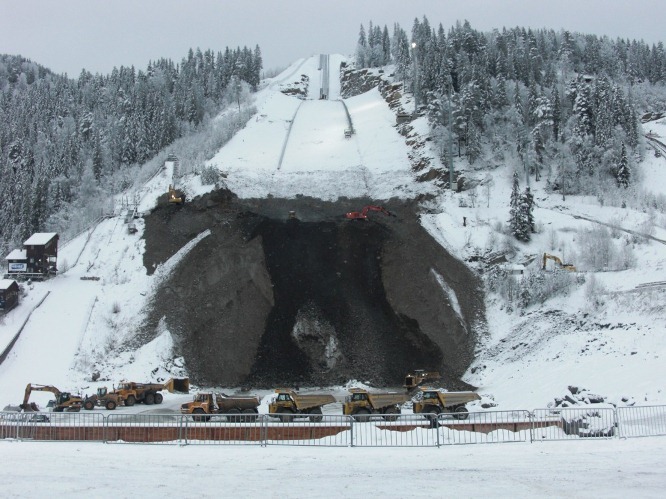 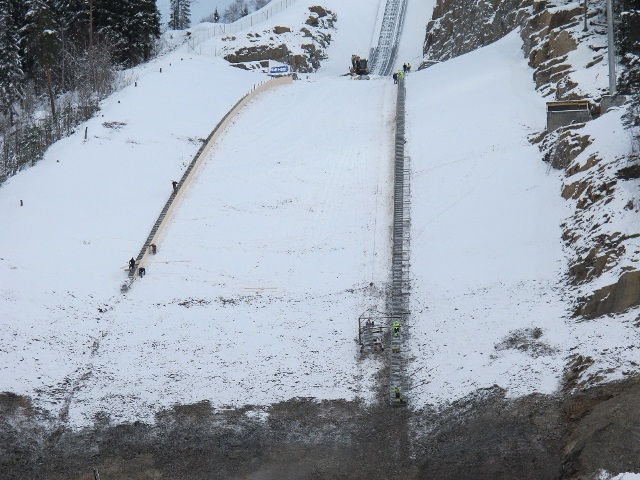 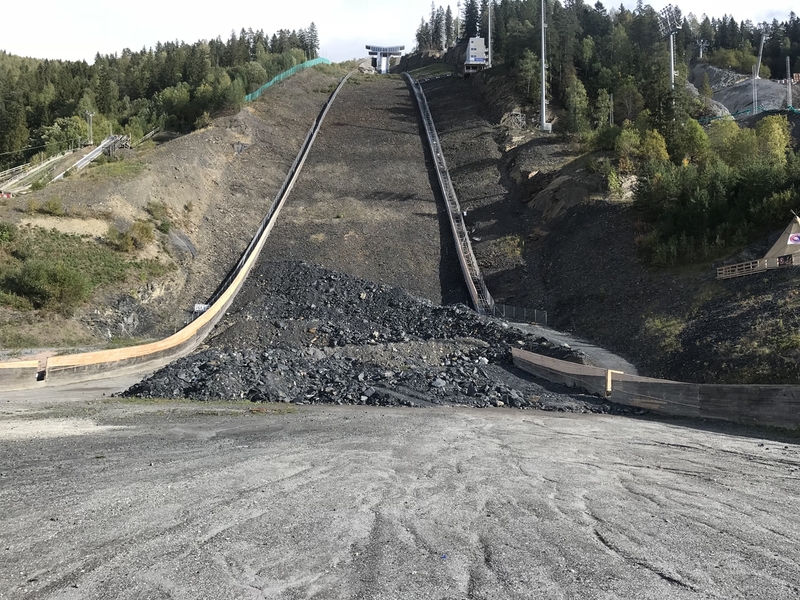 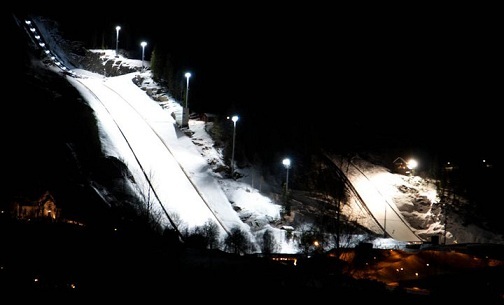 The realization of the necessary conversion works to the "Monsterbakken" at Vikersund and the finishing to the infrastructure for the Skiflying Worlds in February 2012 is progressing. 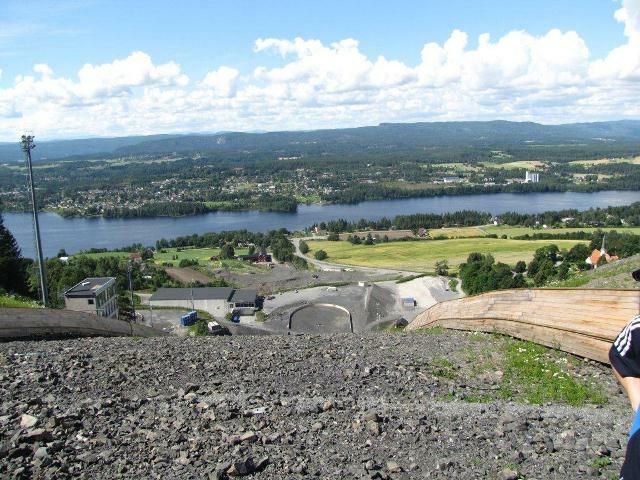 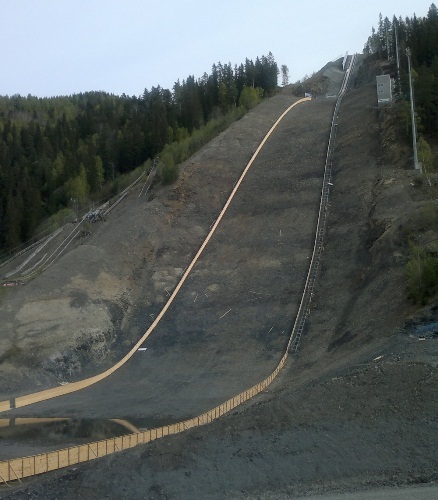 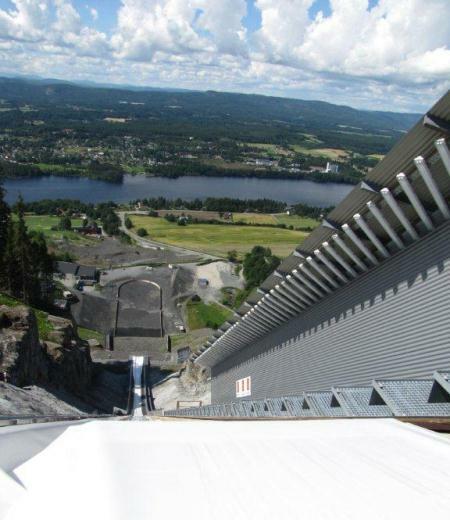 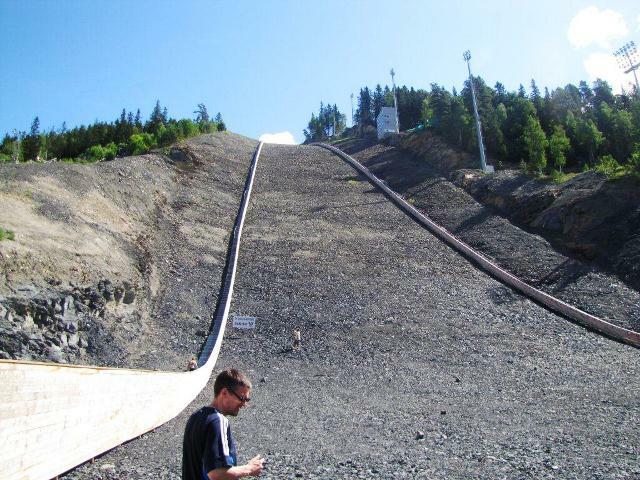 In this summer further works on the ski flying hill at Vikersund in Norway have to be carried out. 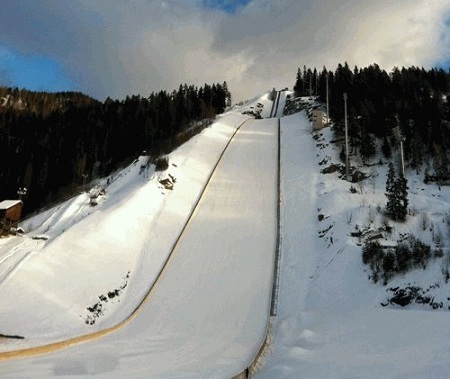 As a consequence even longer jumps shall be made possible. 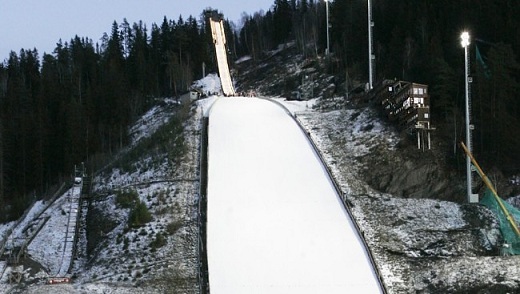 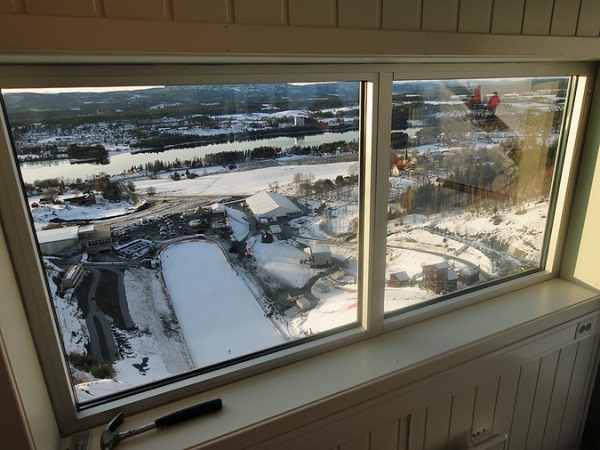 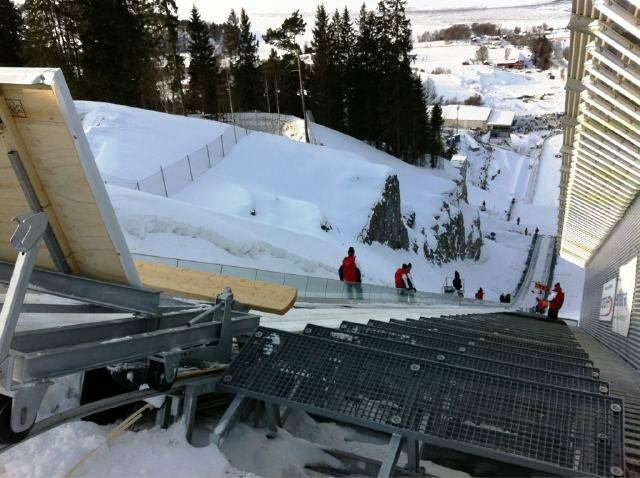 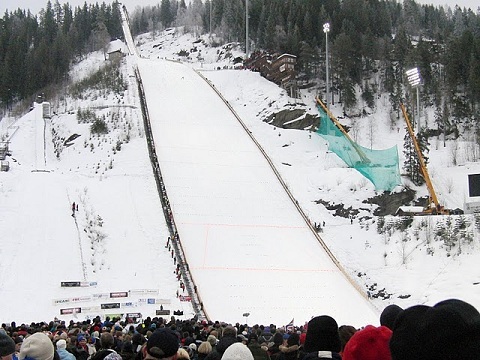 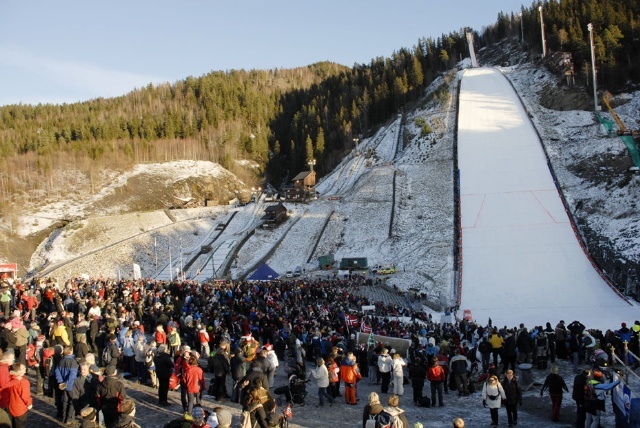 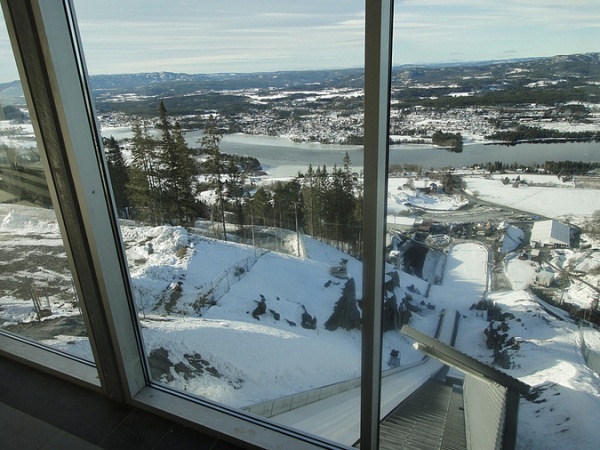 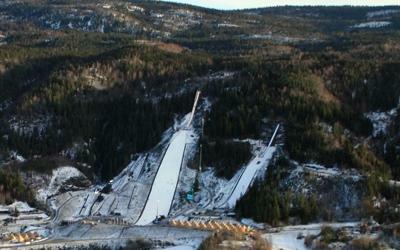 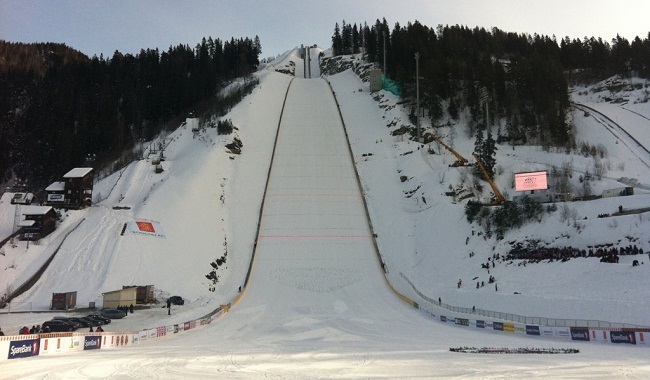 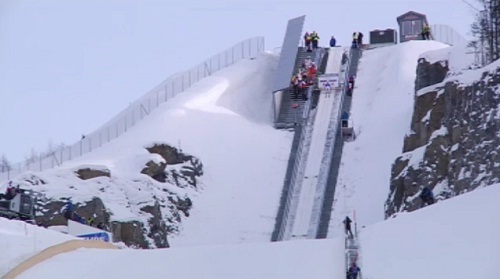 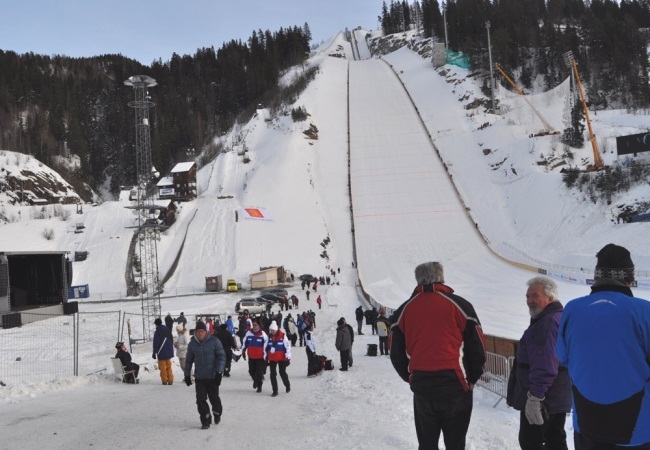 Today at lunchtime the first jumper went over the new Vikersund­bakken. 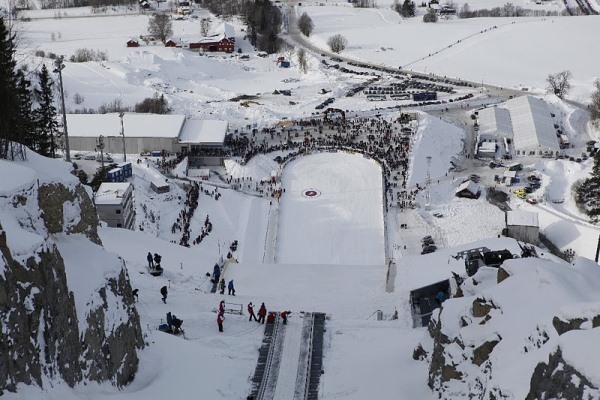 With a Hill Size of 225 meters the Norwegian ski flying hill now is nominally the largest of its kind and so a new world record is expected during the World Cup Ski Flying on the weekend. Wow! 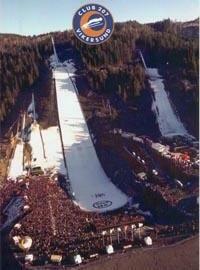 Kraft is so good at that season! 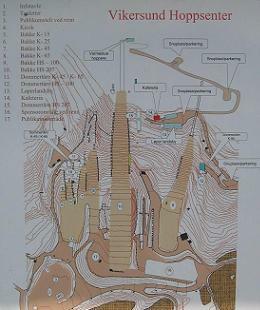 Der Ort hat etwa 6000 Einwohner und ist Zentrum der Kommune Modum mit ca 13000 Einwohnern. 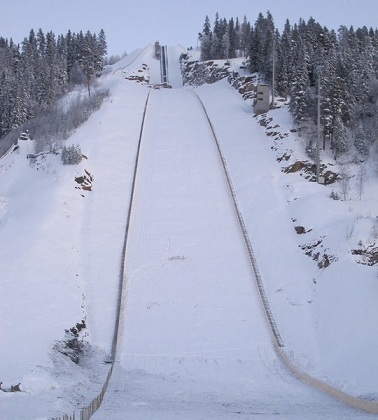 Thanks for the hint, the problem should be fixed now! 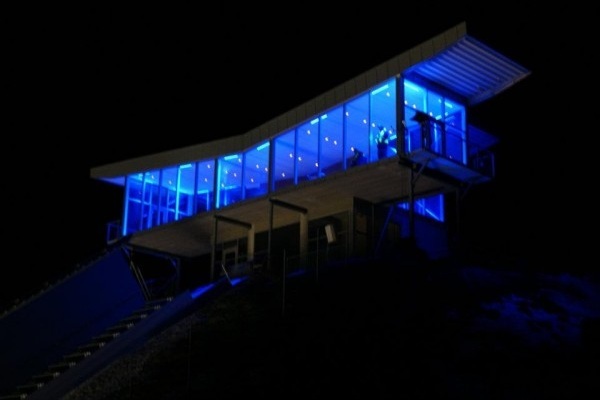 Auch hier kann das Mysterium wohl leider nicht endgültig aufgeklärt werden. 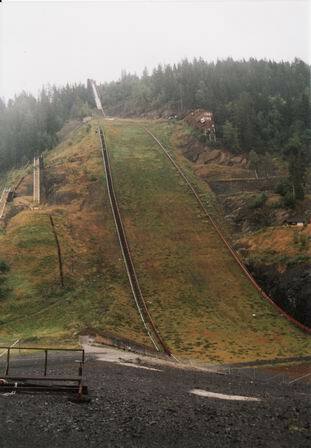 Es gibt zwar Ergebnisse von der Skiflug-WM 1977 (in der Enzyklopädie des Skispringens, 2004), jedoch werden die technischen Parameter der Schanze dort unerwähnt gelassen. 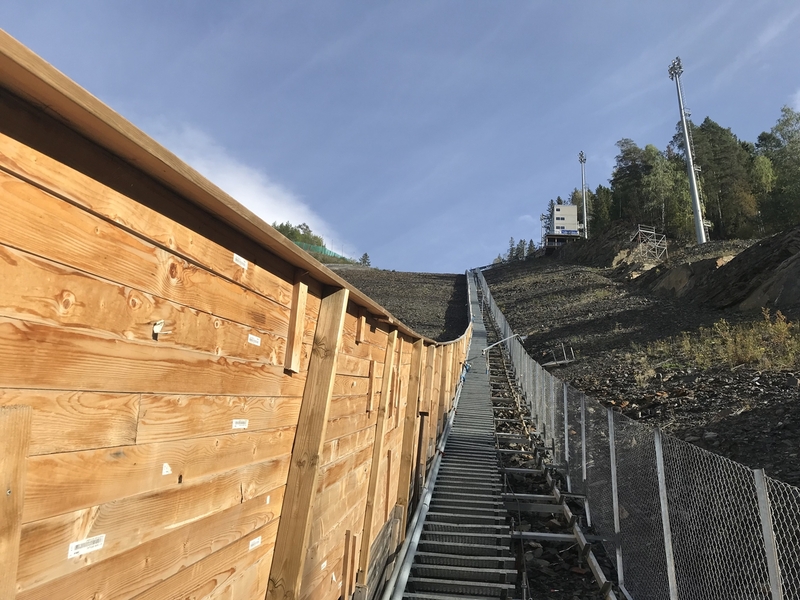 Selbst auf den meist befülltesten Seiten mit Skisprungergebnislisten, wie ist nichts zu finden. 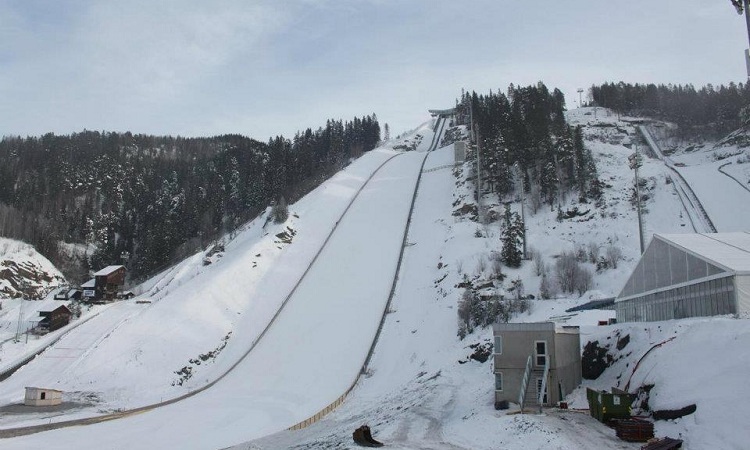 Es wäre schade, wenn diese Lücke bestehen bleiben würde, aber scheinbar lässt sich das nicht aufklären. 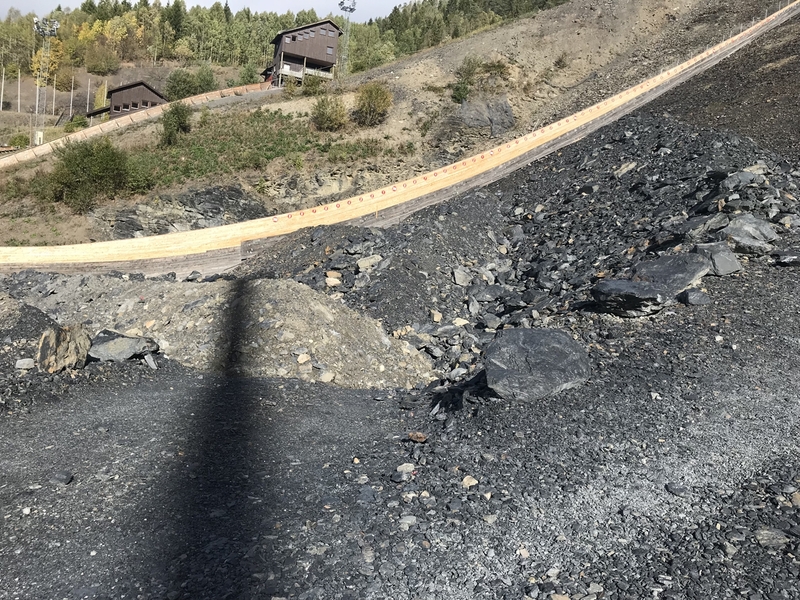 Außer beim Veranstalter nach diesen Infos zu fragen, bleibt wohl kein Lösungsweg mehr übrig. 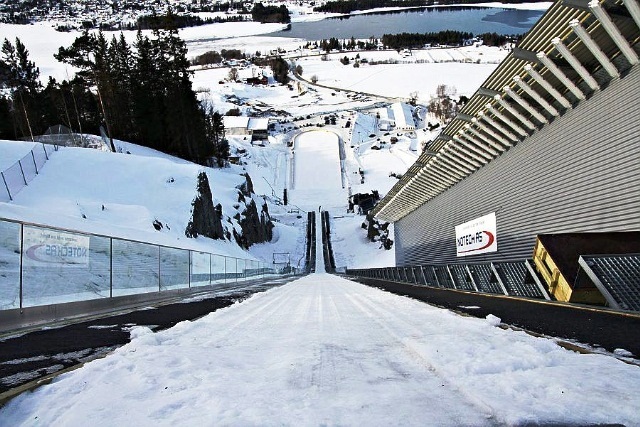 Ich muss ehrlich gestehen: ich halte Vikersund nach wie vor für eine Fehlkonstruktion. 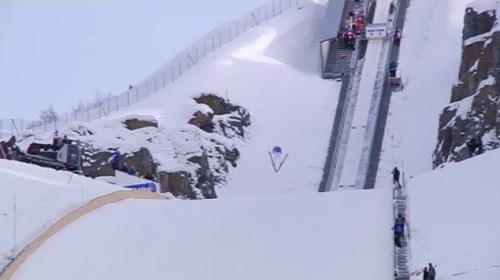 Das fängt schon damit an, dass die Springer vom Aufwärmraum aus gefühlt erst mal einen halben Kilometer nach unten laufen müssen, die Gates aber eigentlich viel zu weit oben am Anlauf angebracht wurden - Springer, die sooo viel Anlauf benötigen, werden wohl kaum auf dieser Anlage springen und zum Training wird sie ja auch nicht benutzt. 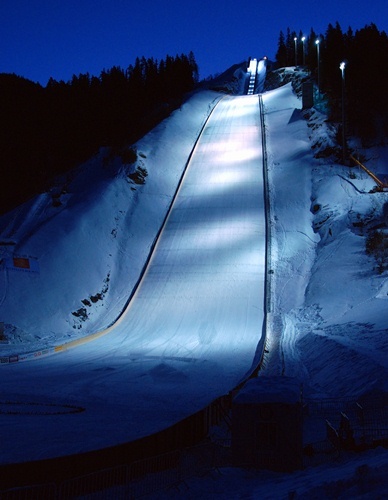 Viel schlimmer aber ist die flache Flugkurve und die daraus resultierende, extrem starke Streuung. 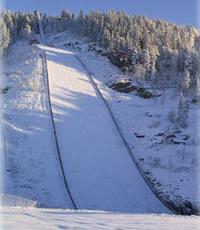 Selbst gute Springer landen ja z.T. 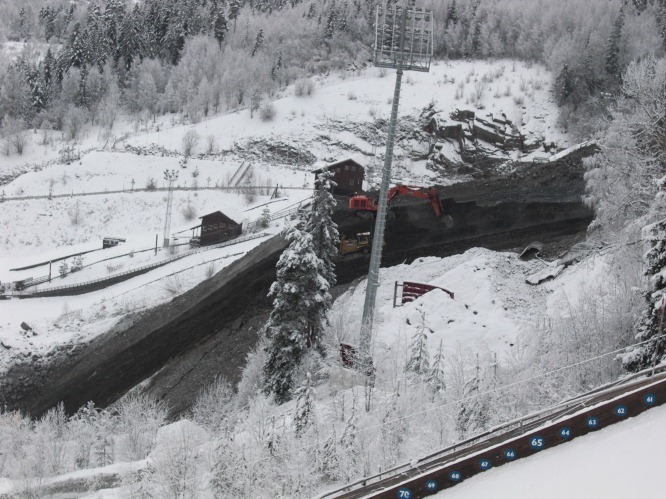 auf dem Vorbau und Weitenunterschiede innerhalb eines Durchgangs von 70-80 m sind keine Seltenheit. 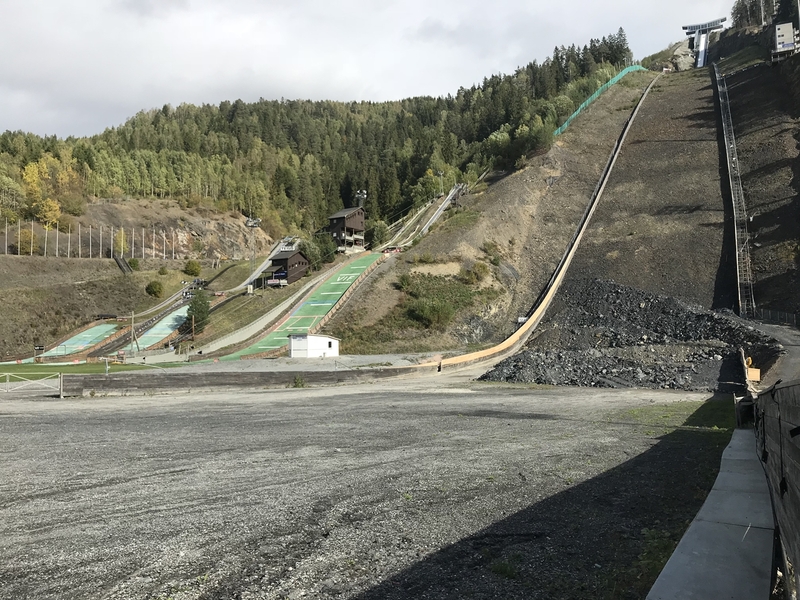 Vikersund mag vielleicht die größte Schanze sein, aber die Wettkämpfe machen selten wirklich Spaß. 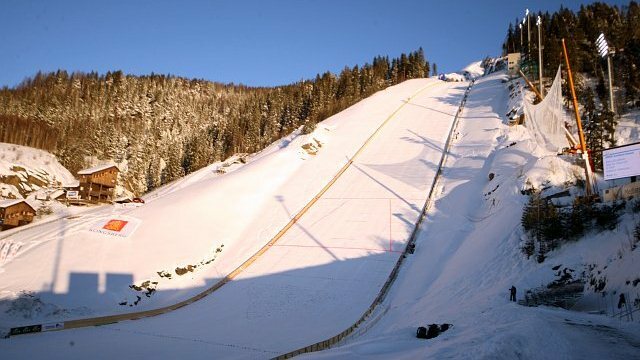 Ich finde zwar, dass die Flugkurve in Planica etwas hoch ist, aber die Springen dort sind deutlich cooler, weil die Schanze halt viel weniger streut. 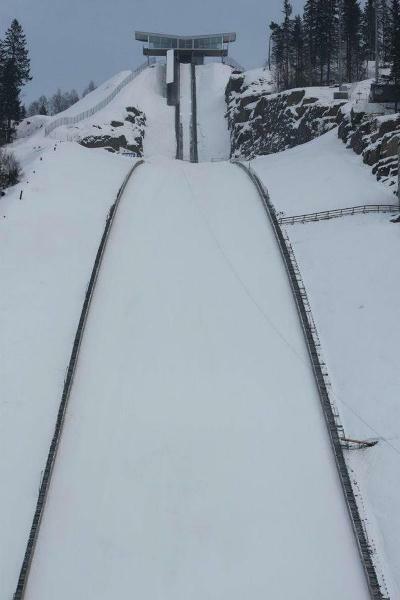 WIe weit kann es gehen? 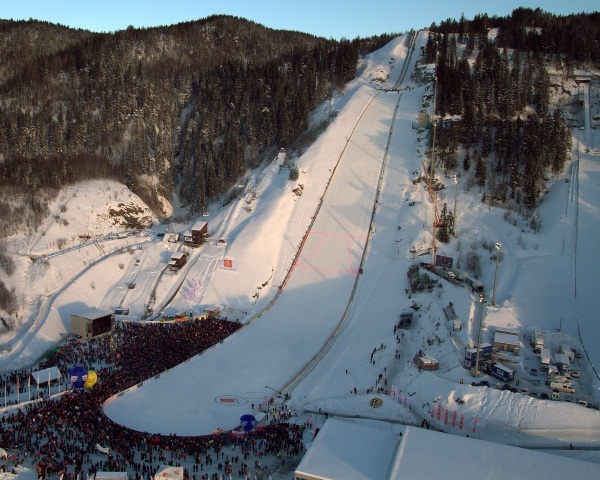 251.5m sind ja extrem viel, Planica kommt ja noch, aber wird es irgentwann nicht mal zu gefährlich??? 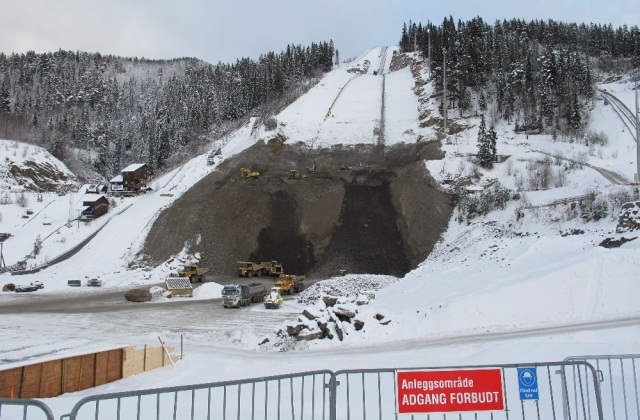 Wenn wir aber so weitermachen, dann geht es doch warscheinlich bald über 300m, was meint ihr dazu, und kann man das durch vergrößern einer schanze machen oder muss dazu eine neue gebaut werden? 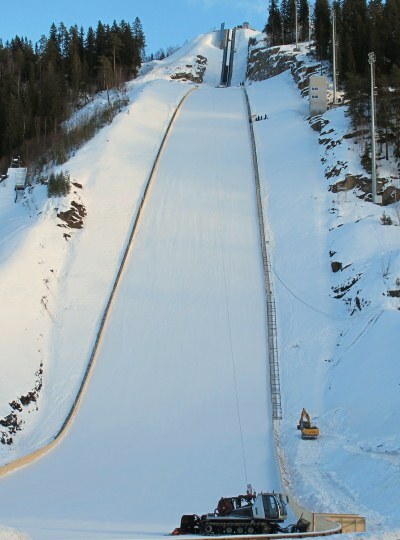 Jetzt ist es geschafft, was für ein Rekorsprung. 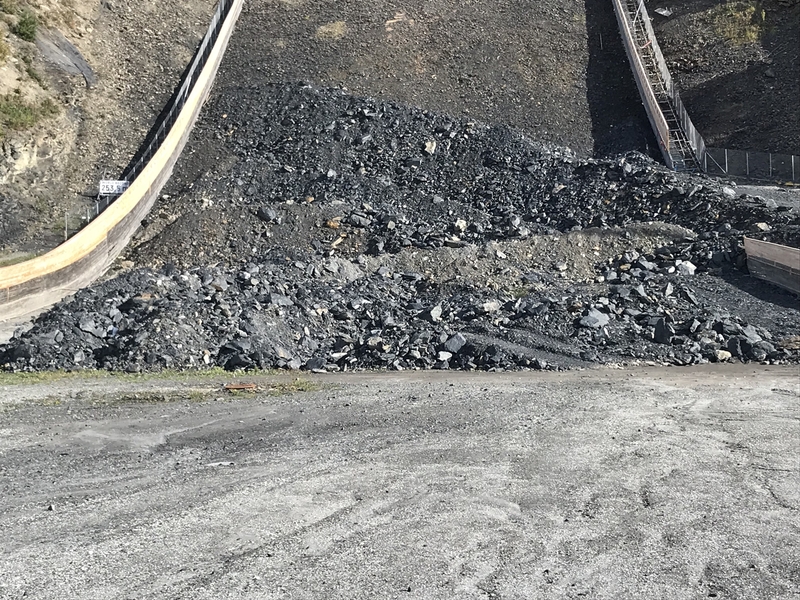 Skok Goldbergera był z drugiej serii treningowej, kwalifikacji wówczas nie rozegrano. 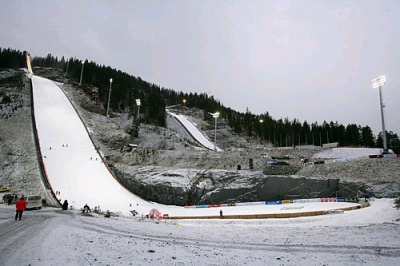 Skoro rekordy przedskoczków z 2000 i 2004 roku traktowane są nieoficjalnie, to podobnie powinno być z rekordem świata Martina Hoellwartha z Planicy z 1994 roku na 196 m, gdyż skakał on wówczas jako przedskoczek. 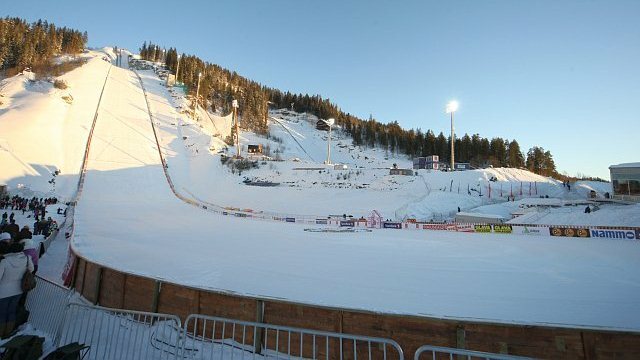 Man kann in dieser Saison allgemein beobachten, dass aus immer niedrigeren Gates gestartet wird und man fast auf allen Schanzen am unteren Limit ist. 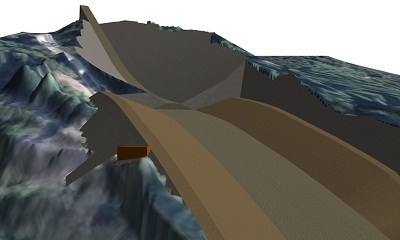 Scheinbar hat man bei der Schanzenplanung (im Allgemeinen) die rasante Weiterentwicklung von Technik und Material unterschätzt. 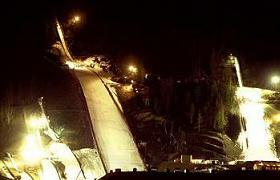 aber diese Weite ist eh schon Hammer!!! 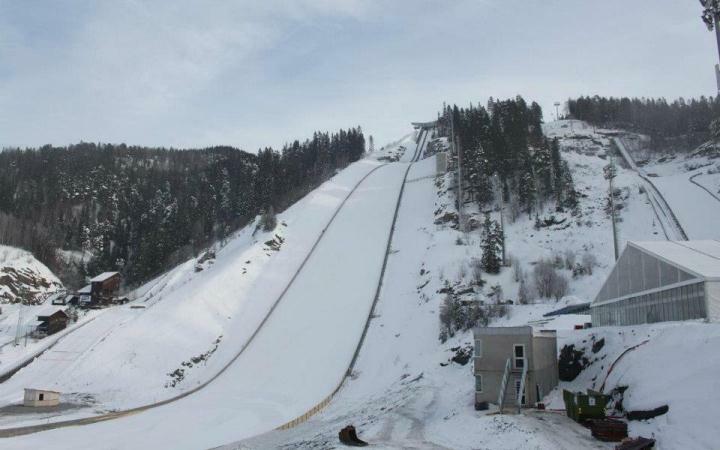 Wieso das, ist doch völliger Nonsens. 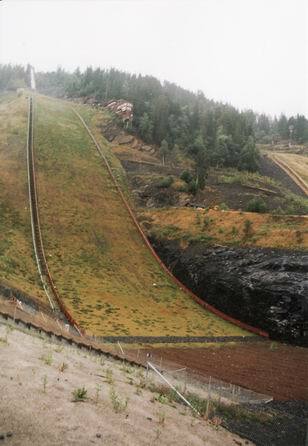 Was machen die bei 2-3 Meter/s Aufwind? 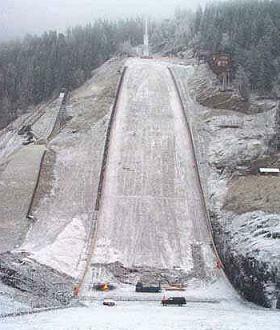 Richtig...dann kann man nicht springen. 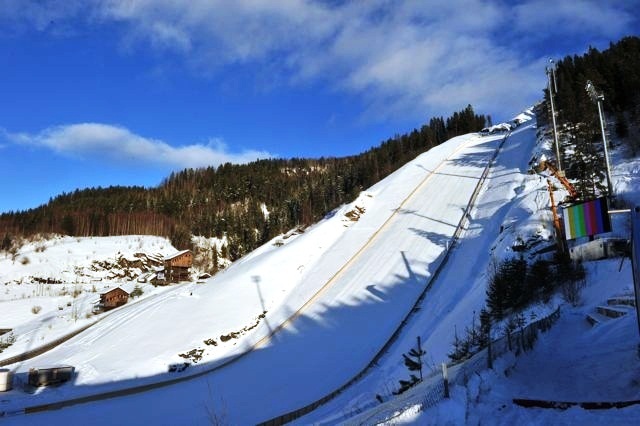 Auf solchen Schanzen spring sowieso nur der Weltcup...für was braucht man dann so einen Großen Anlauf nach oben? 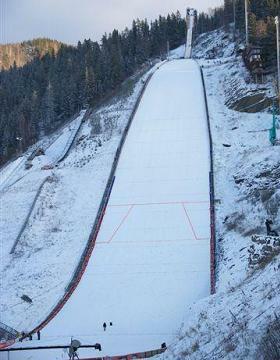 Aber die werden die Schanze mit sicherheit nochmal umbauen bis nächste Saison, da bin ich mir 100% sicher. 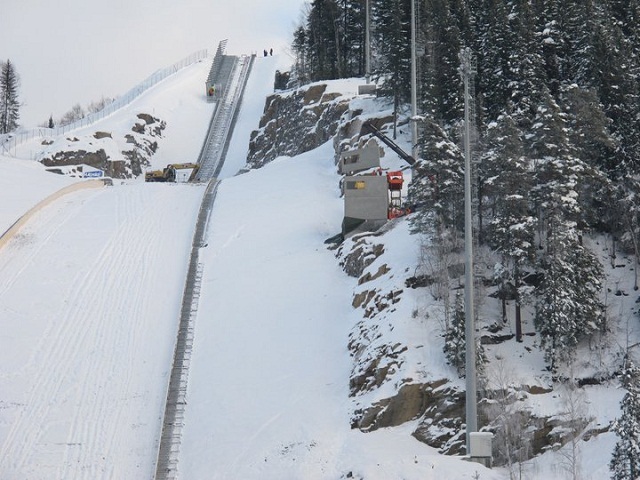 Was ich mich allerdings frage: Man baut eine nagelneue Schanze und ist trotzdem mit dem Anlauf schon wieder ziemlich am Limit, am Ende der Quali Luke 4, nach oben hin sicher noch 20 Meter Turmlänge vorhanden. 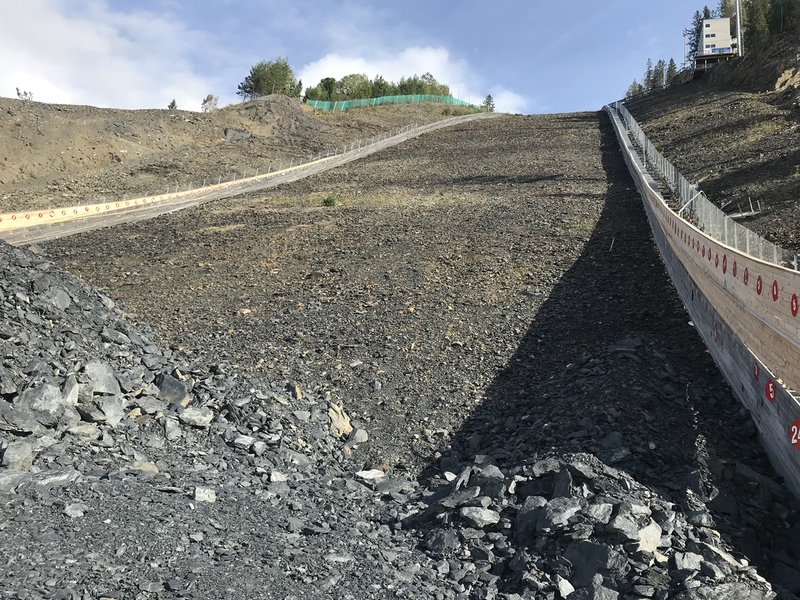 Warum kann man bei der Planung einer neuen Schanze das nicht schon einberechnen in der heutigen Zeit? 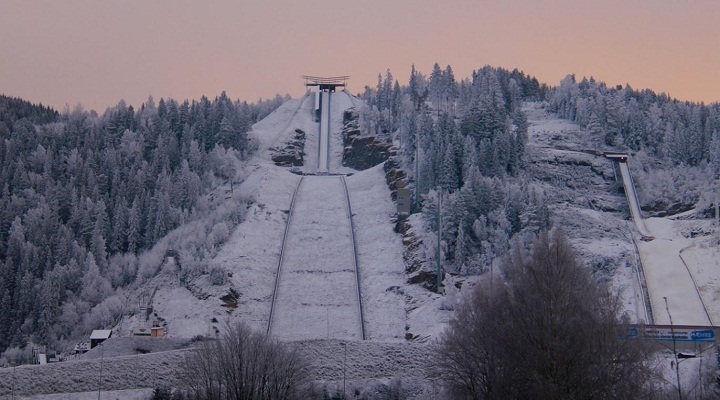 trzeba kupić wcześniej bilety na konkurs? 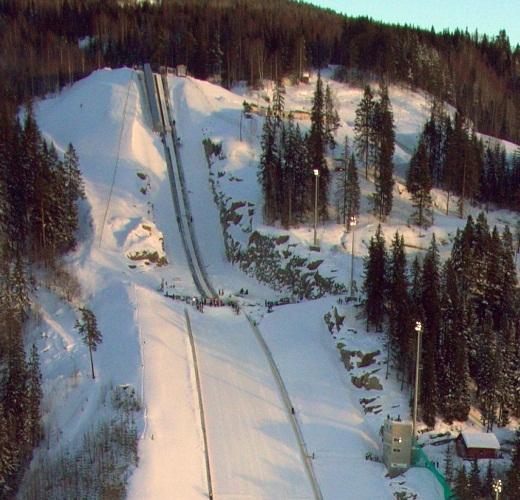 czy przed konkuresem? 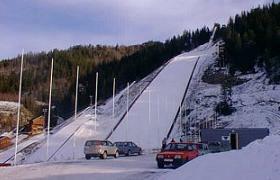 But it is flying hill and it is different thing of course any jump is important even in training session. 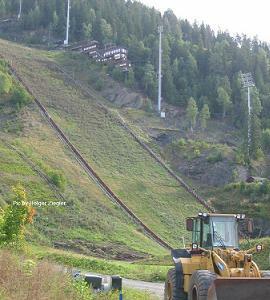 I am very glad, that you built bigger Hill than anyone else. 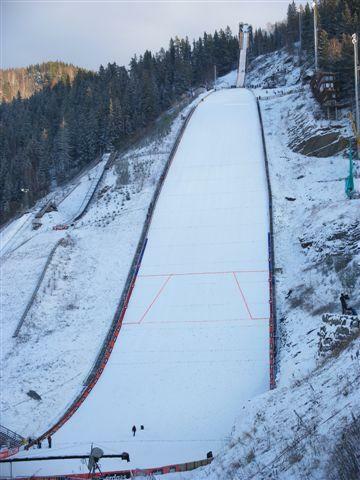 We also plan to make our Hill a bit bigger, now with new FIS Rules (135 m ) it is much easier. 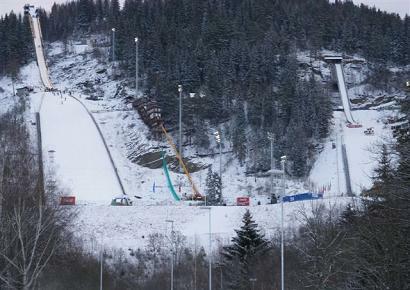 I wish You new World Record, because after it it will go a bit faster also by us! 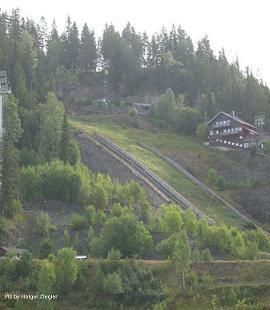 Unofficial hill record of old hill: 220,5 m (Boerge Gellein Blikeng NOR, 2009). 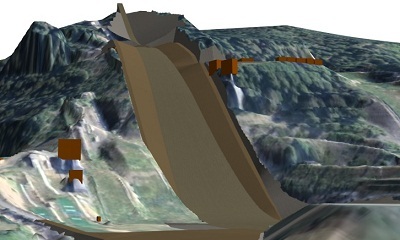 Now you can watch the video showing a time-wrap of reconstruction measures. 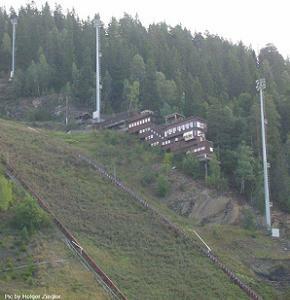 You can see that the old tower was destroyed and that the whole hill and inrun track were rotated a bit, so now the inrun is "natural". 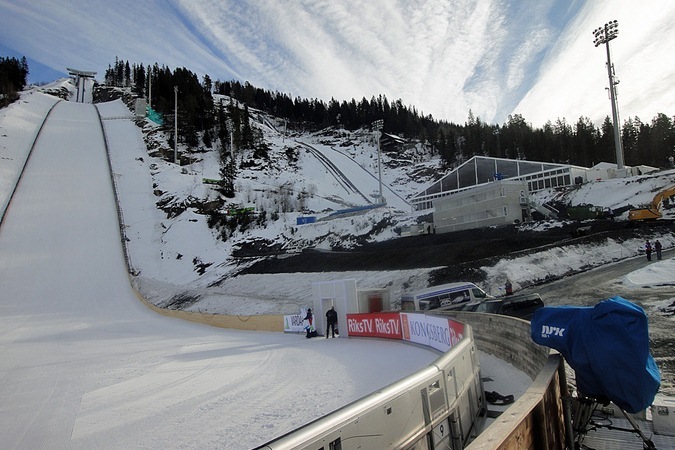 @jogi: Everything har been rebuild, the inrun as well. 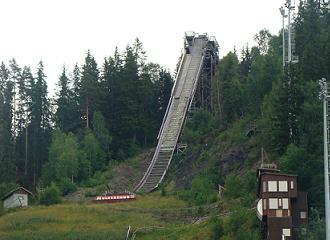 The tower was the first thing the demolished, using dynamite. 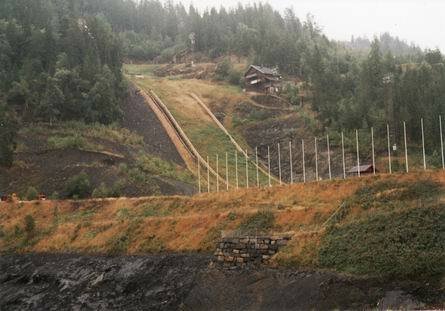 The inrun no longer has a tower, the whole hill is dug into the ground, except for a few meters at the very top, where they have used slabs of stone to extend the inrun a few meters. 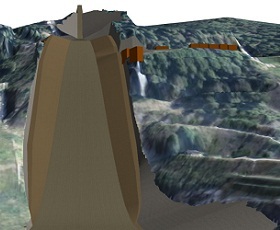 When you look at the pictures, keep in mind that only the first seven of them depict the new hill. 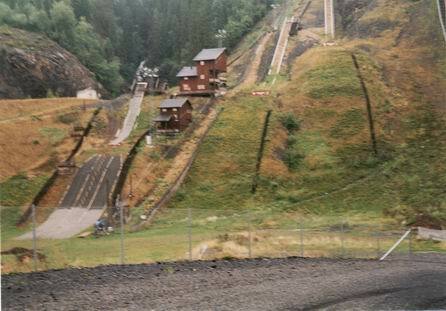 All the rest are old photos of the old hill. 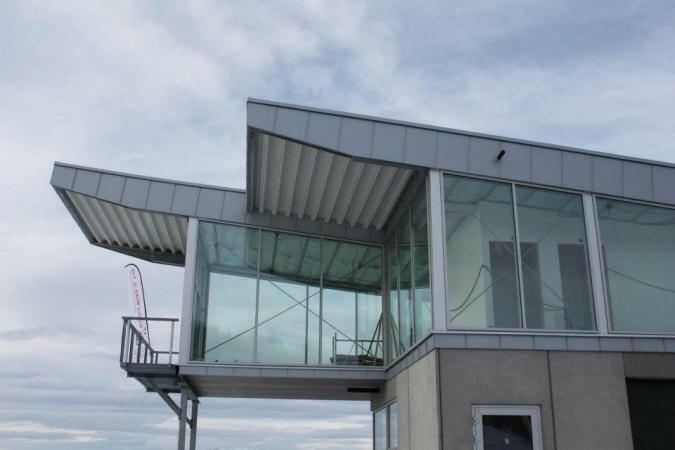 Ist der Turm auch umgebaut worden oder sieht das nur so aus? 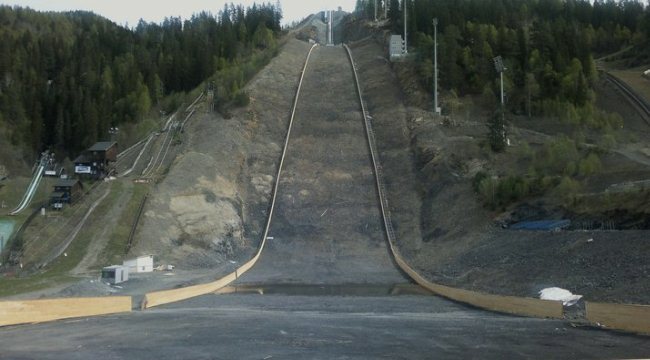 Jak myślicie - będą możliwe na tej skoczni skoki dłuższe niż w Planicy? 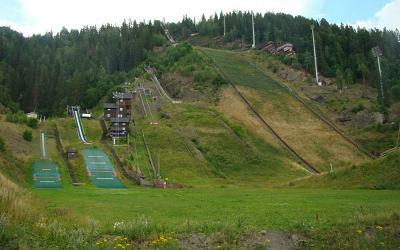 Mam na myśli odległości rzędu 245-250m. 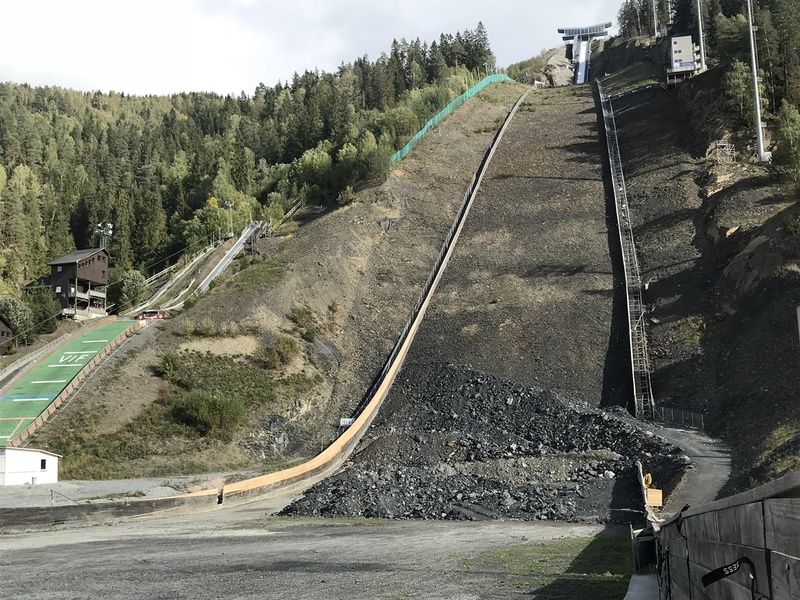 Wird sicher eine spektakuläre Flugshow! 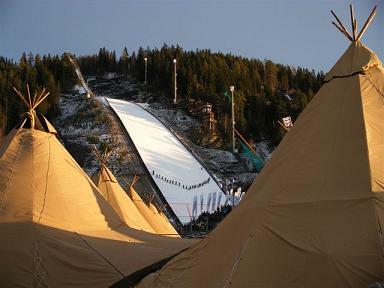 Die Schanze sieht echt gigantisch aus....gehe schon davon aus, dass der Weltrekord bei guten äußeren Bedingungen fallen wird. 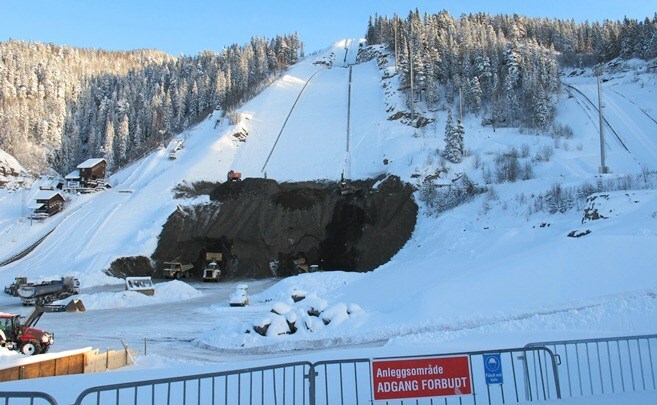 250m wären ein Traum, aber die Sicherheit der Springer sollte an erster Stelle stehen. 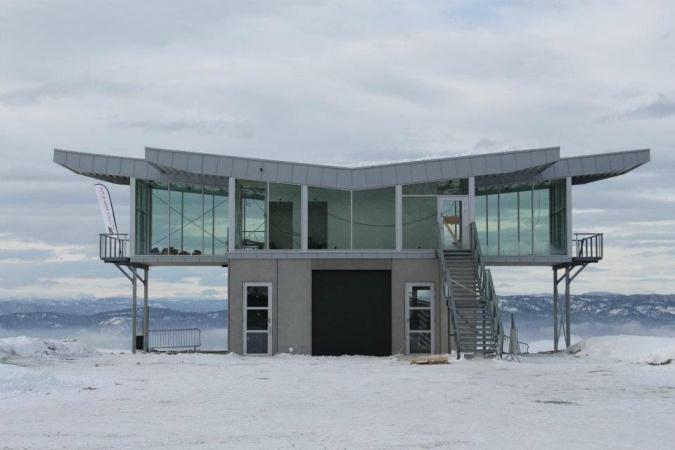 Weiß jemand, ob irgendwo im Internet am Mittwoch (9.2.) 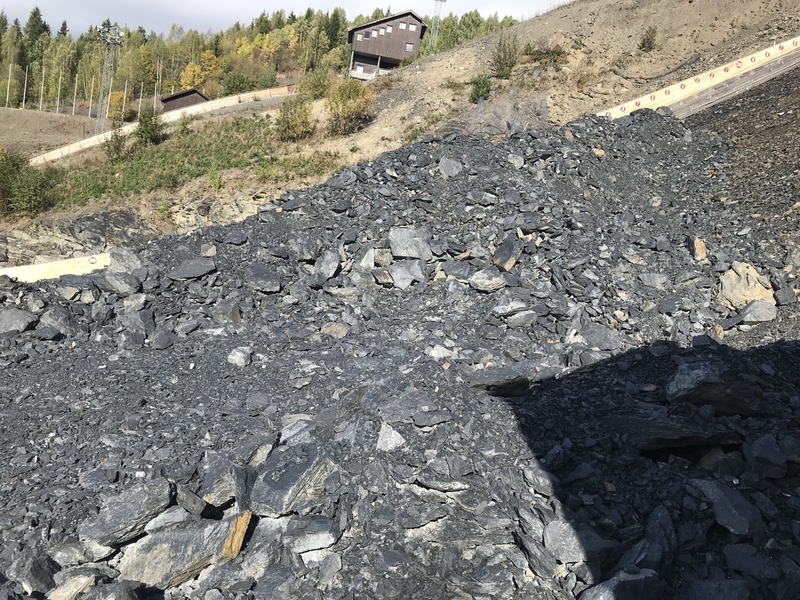 die ersten Flüge zu sehen sind? 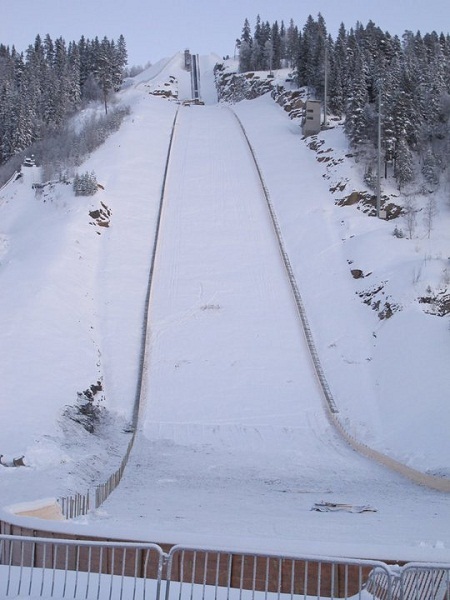 Thanx schon mal für die Antwort. 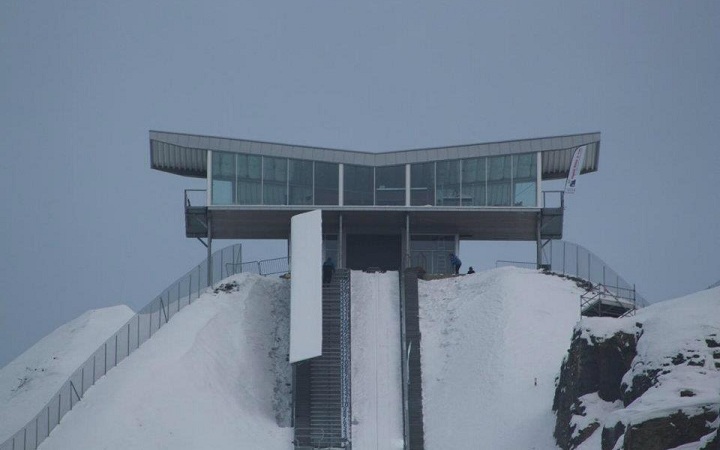 ...ob man nun 250m fliegen kann. 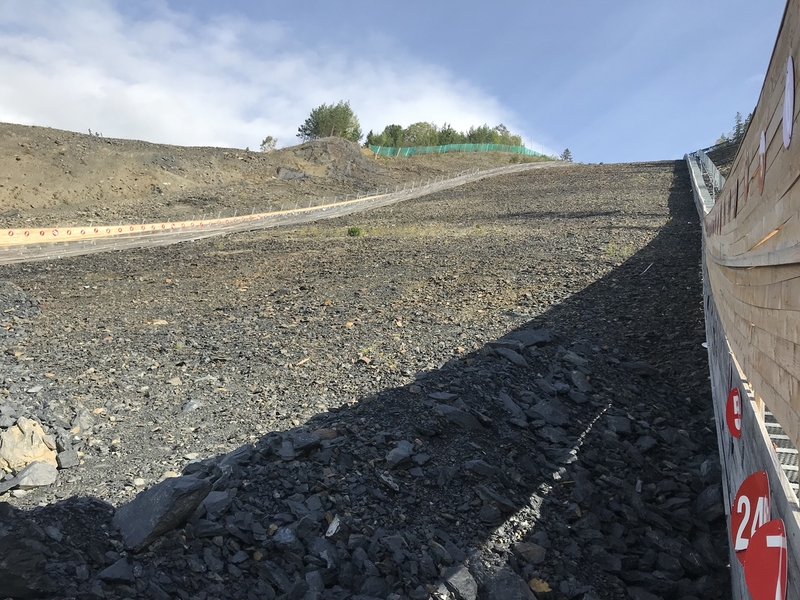 Stopniowo dodaję tłumaczenia skoczni, ale widocznie tą akurat przeoczyłem. 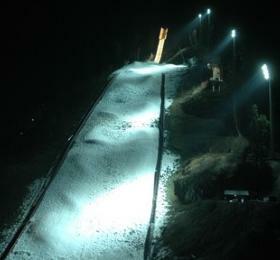 Zwracaj uwagę na numer np. 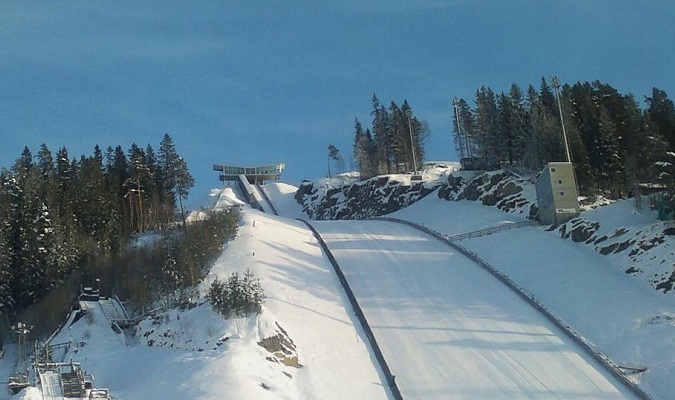 5 jaki ma ten artykuł (patrz w linku), jeśli jest poniżej 600 a nie ma polskiej wersji historii to znaczy że przeoczyłem i nie dodałem. 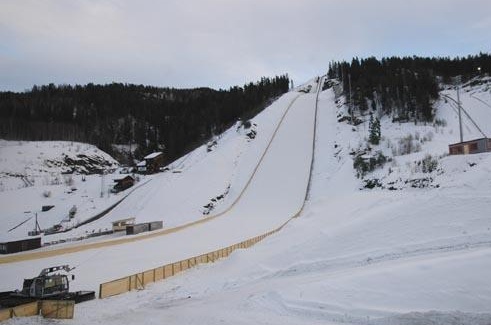 Bin ja gespannt, ob Björn´s Rekord hier in Vikersund geknackt wird, und wenn ja von wem. 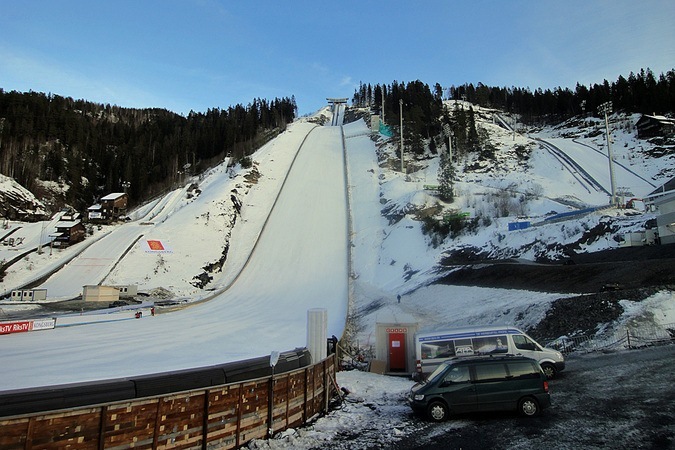 Hier könnt ihr euch bilder von Umbau der Schanze angucken. 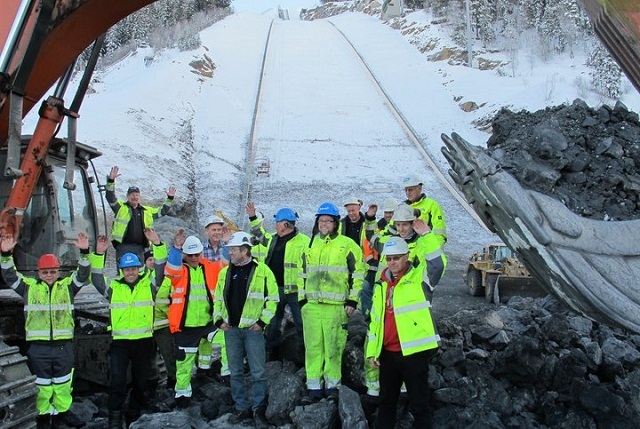 Die Bilder werden alle paar Minuten Aktualiesiert.